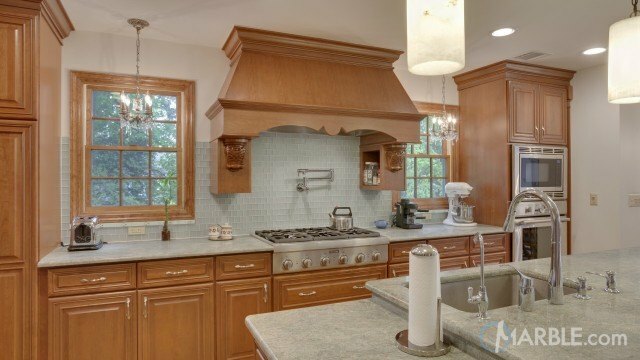 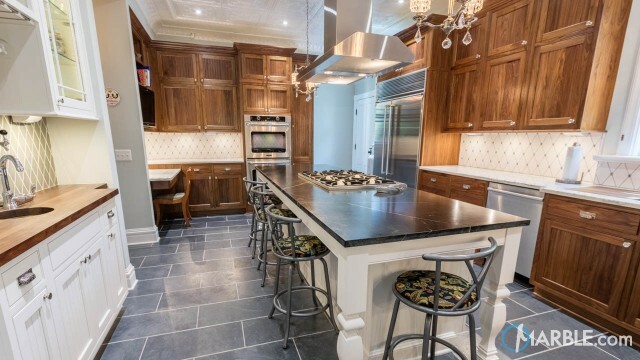 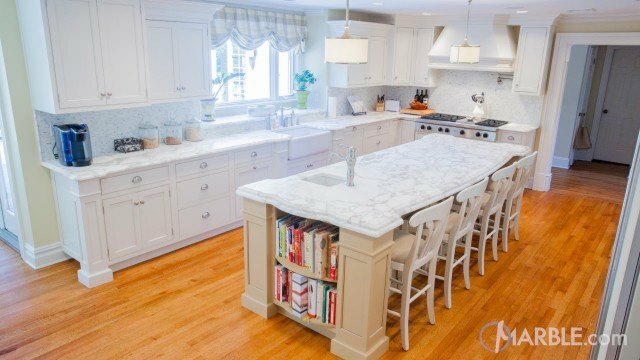 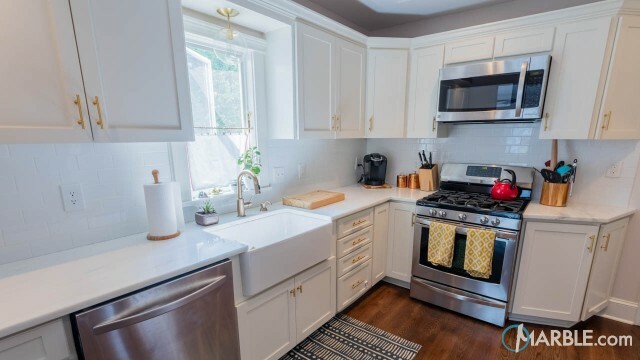 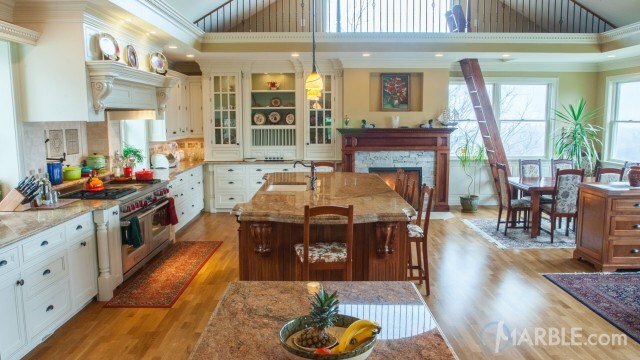 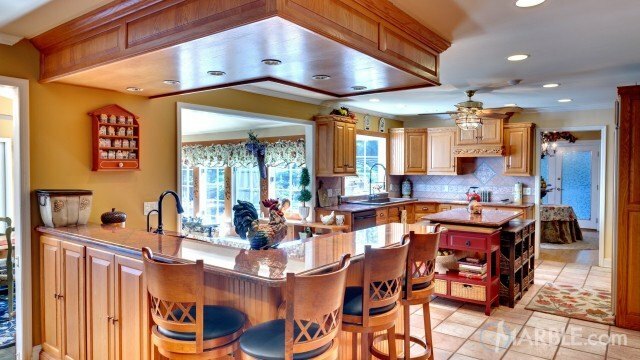 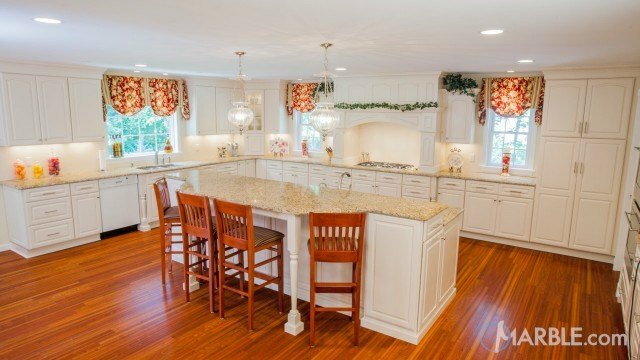 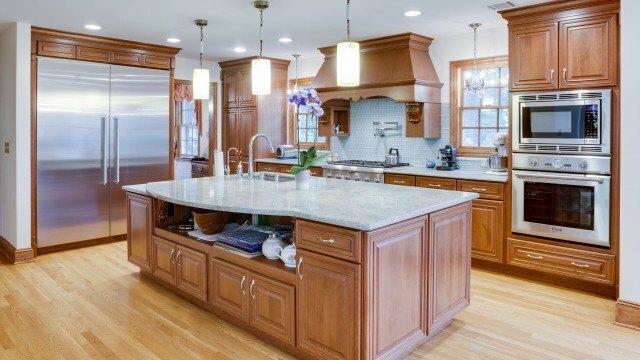 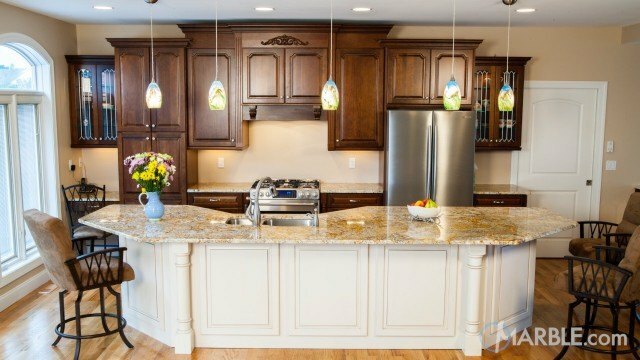 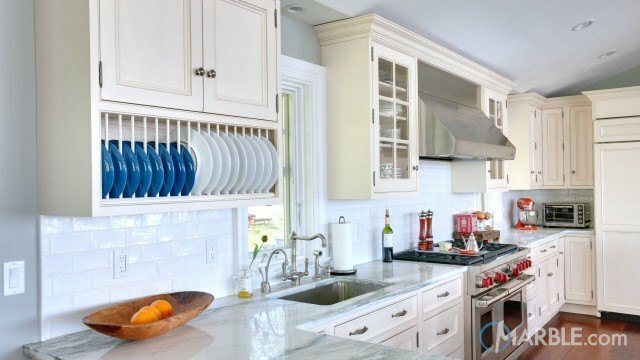 This traditional kitchen is gorgeous. 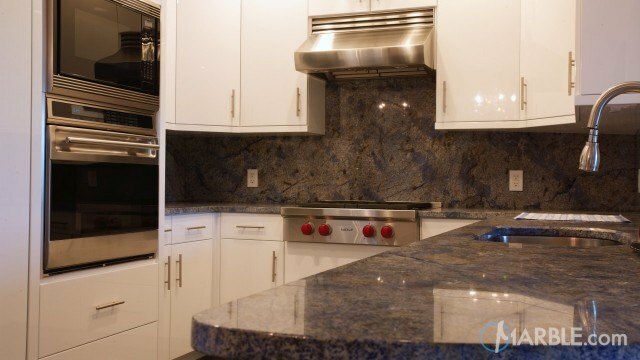 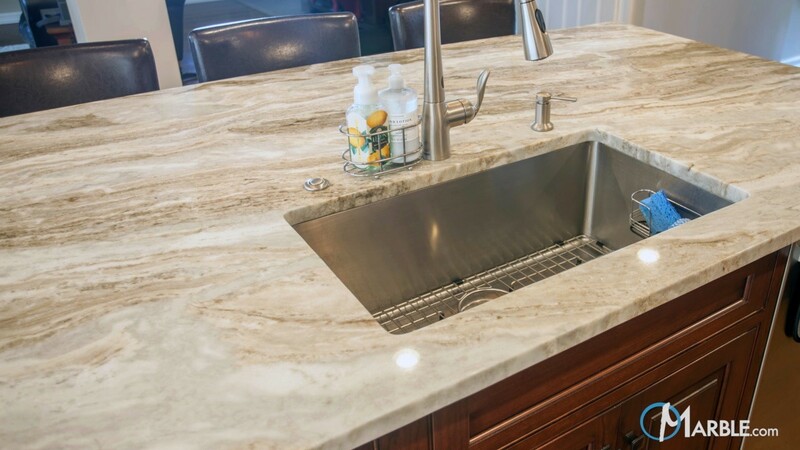 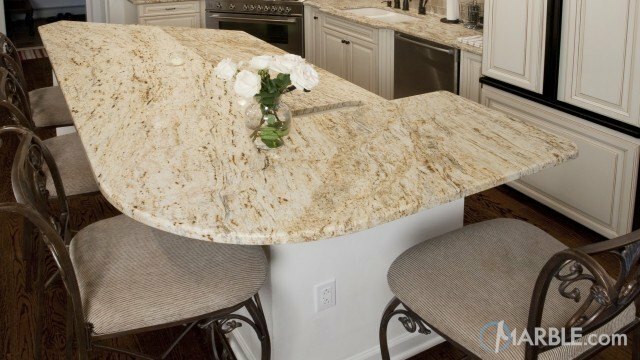 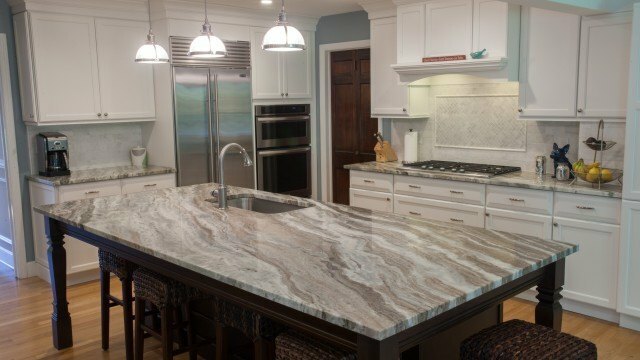 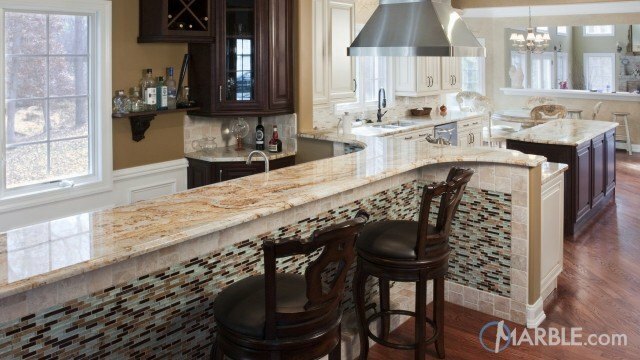 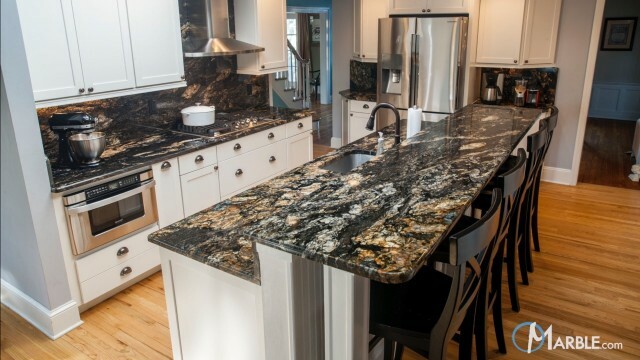 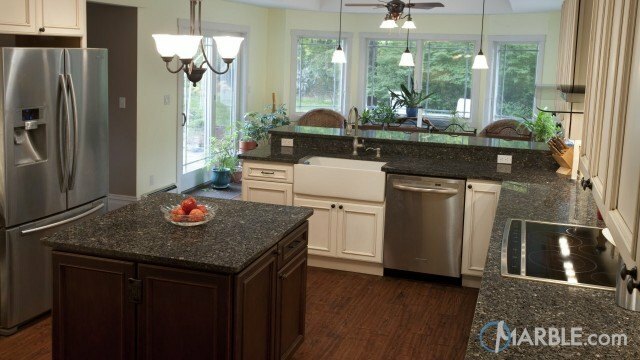 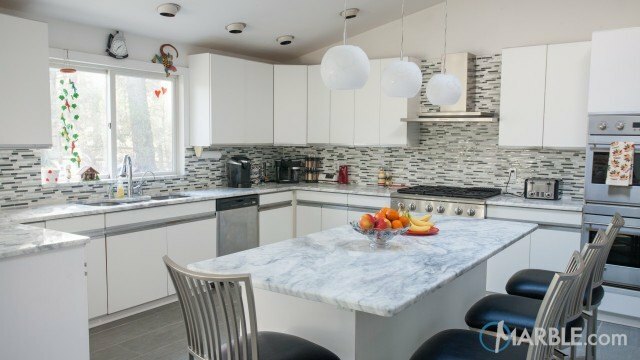 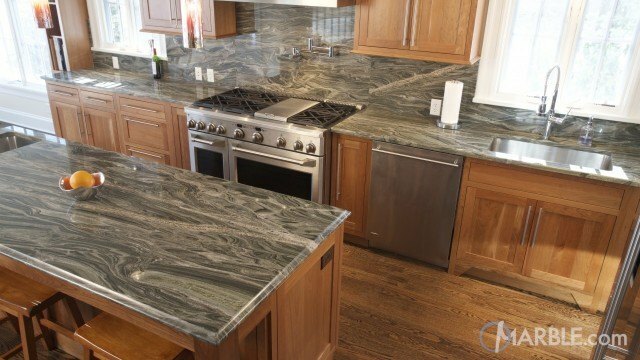 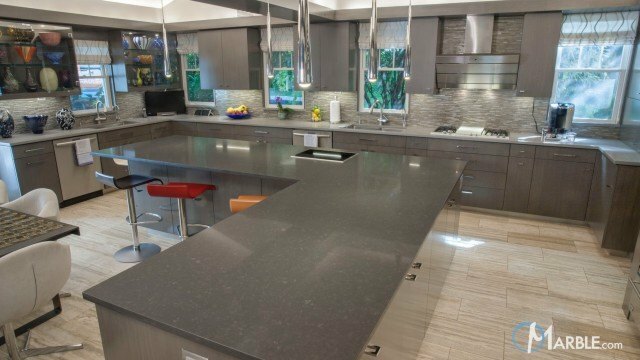 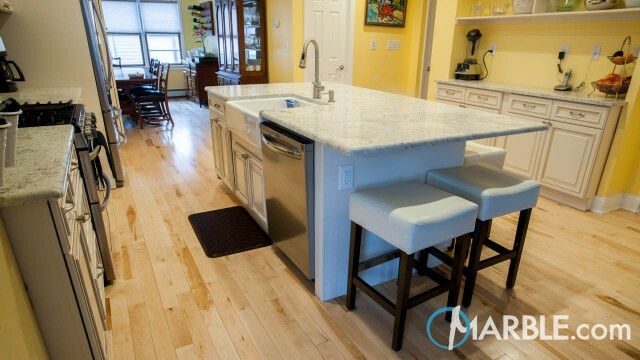 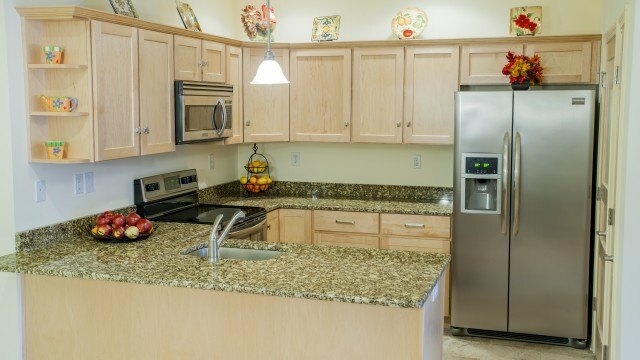 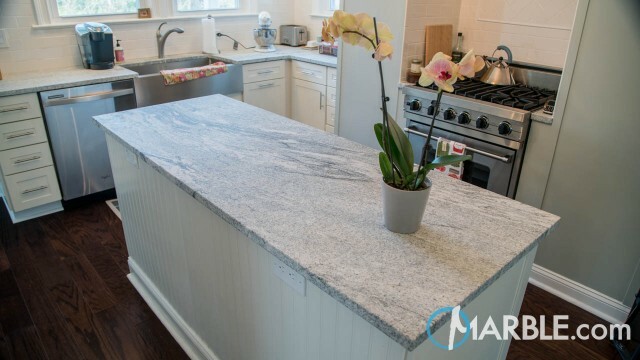 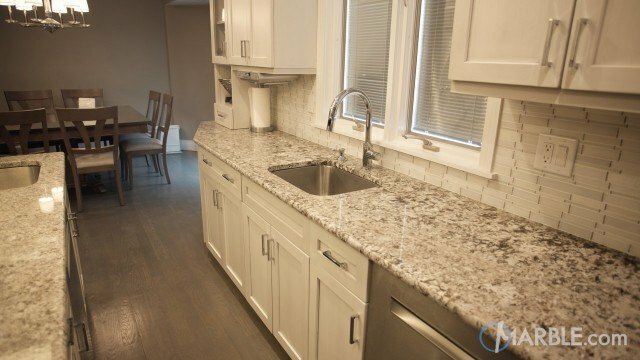 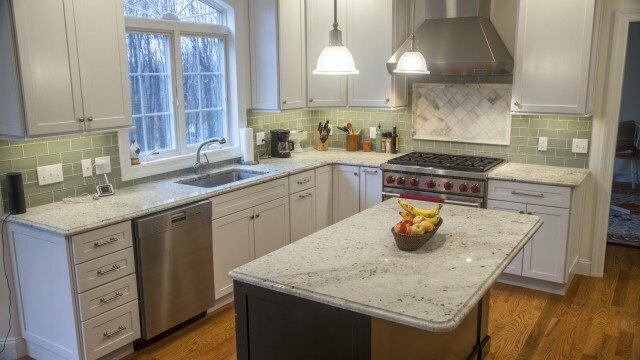 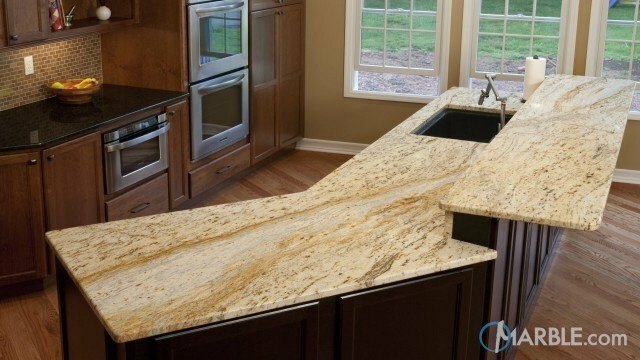 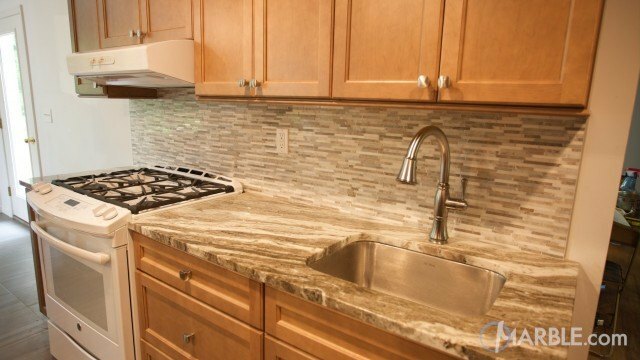 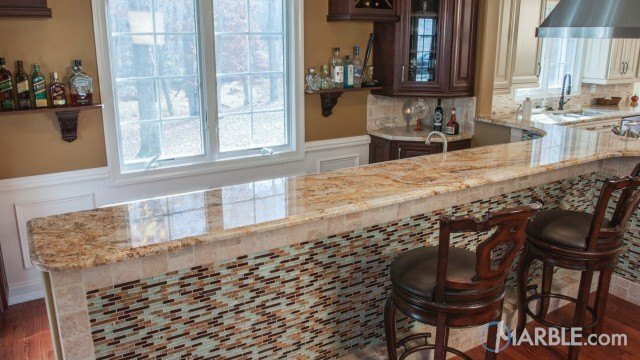 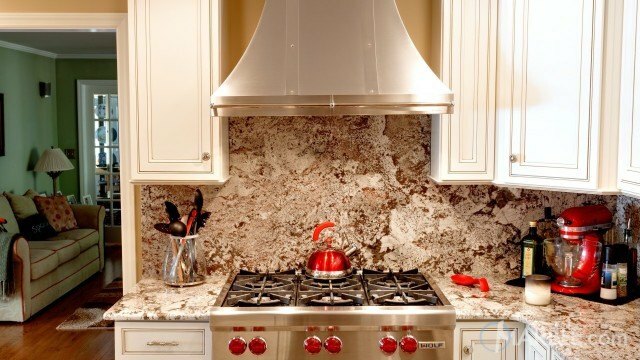 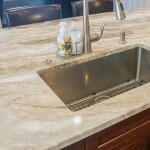 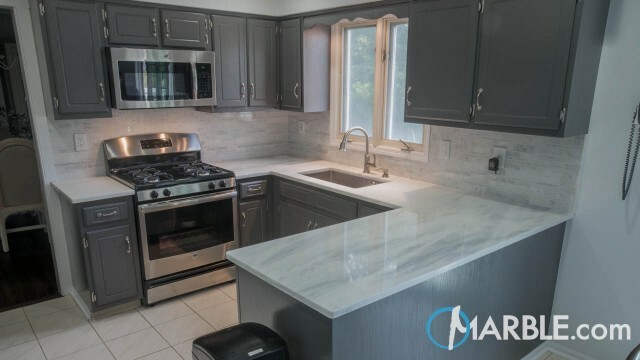 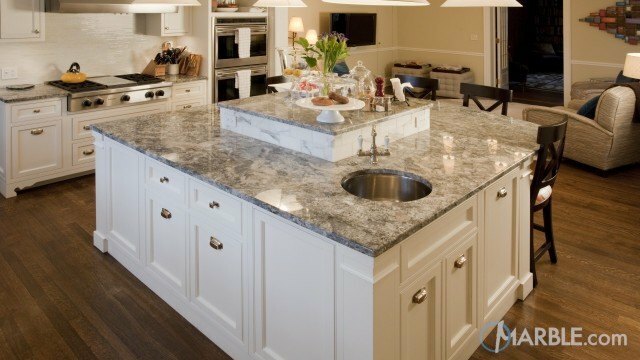 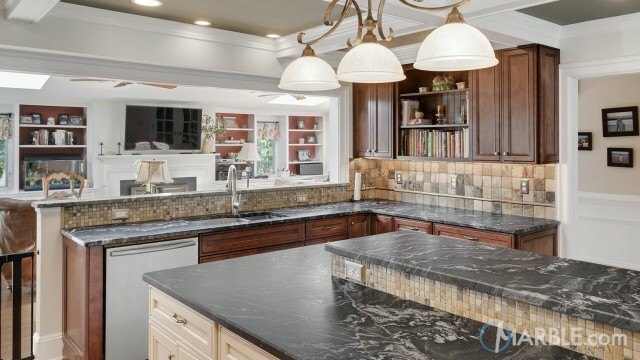 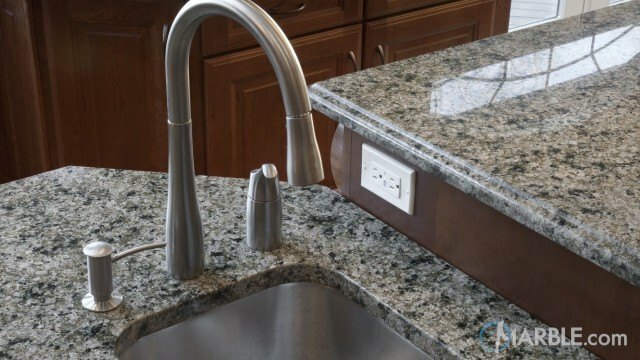 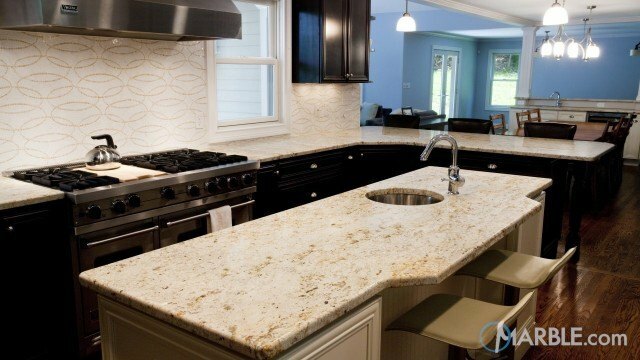 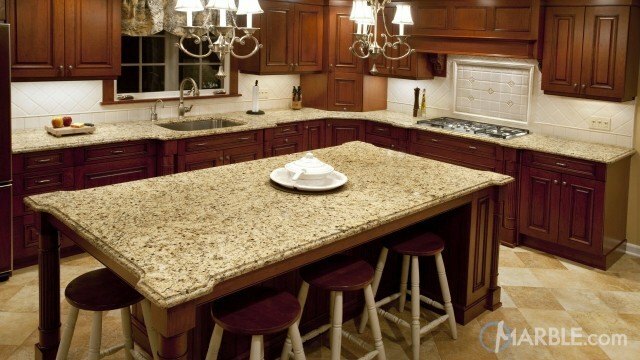 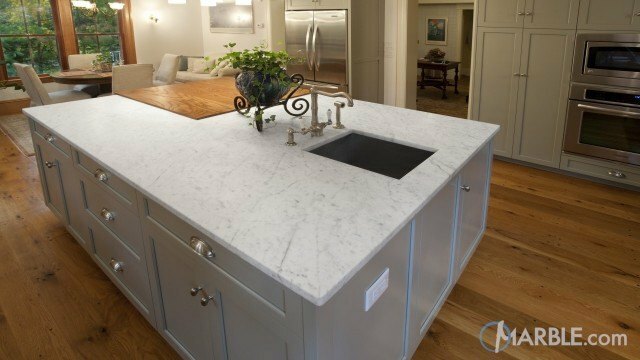 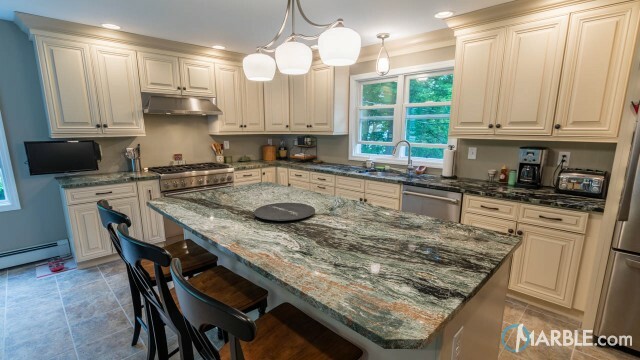 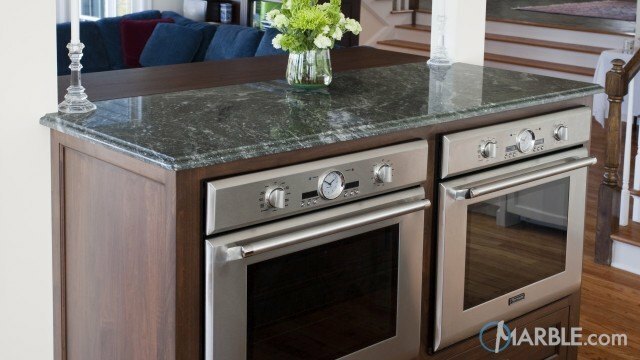 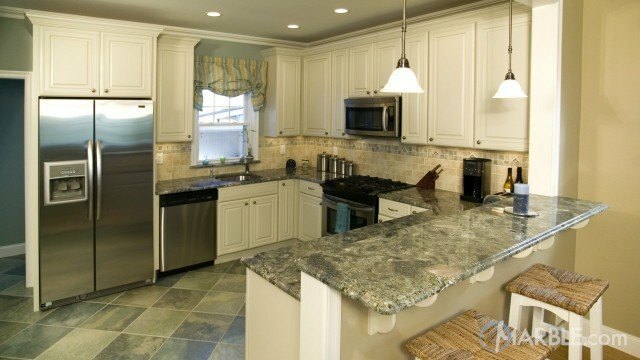 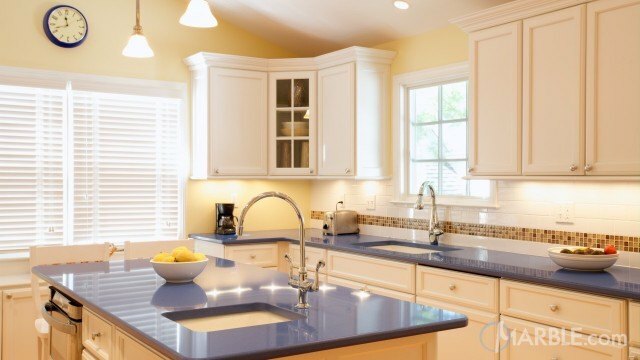 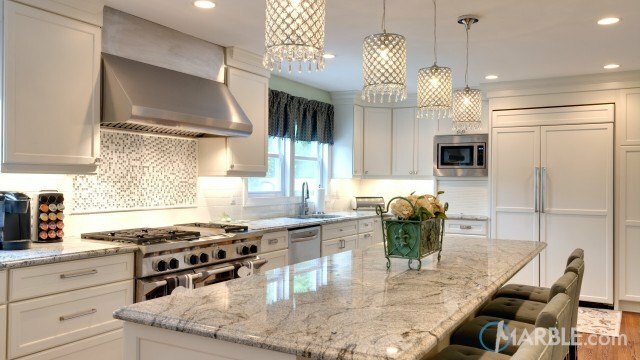 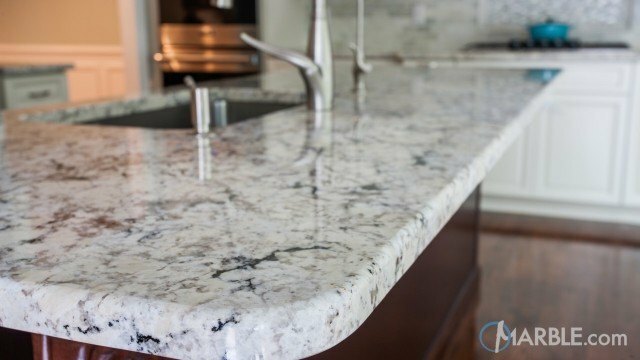 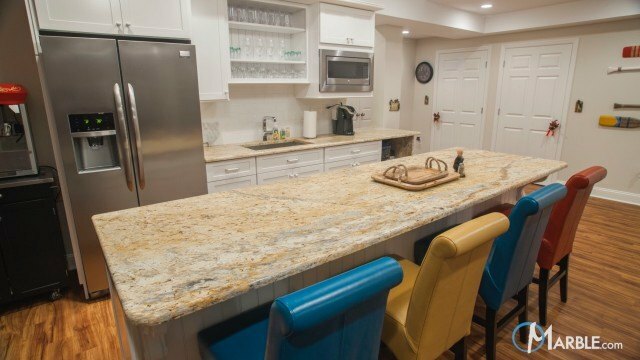 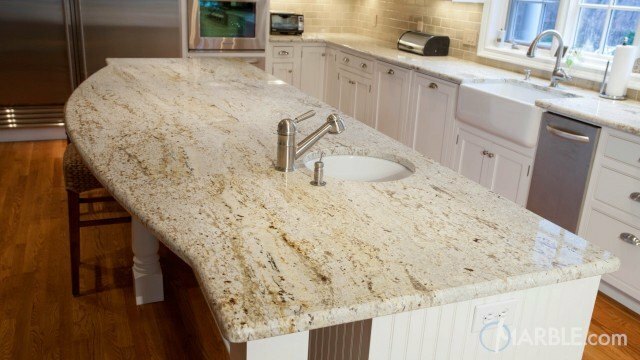 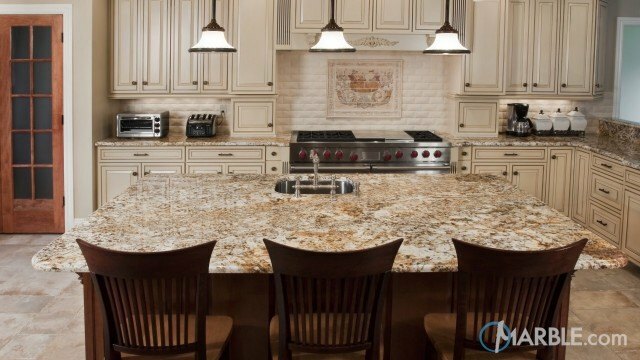 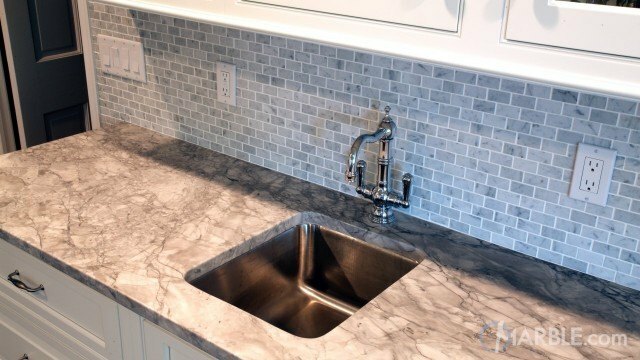 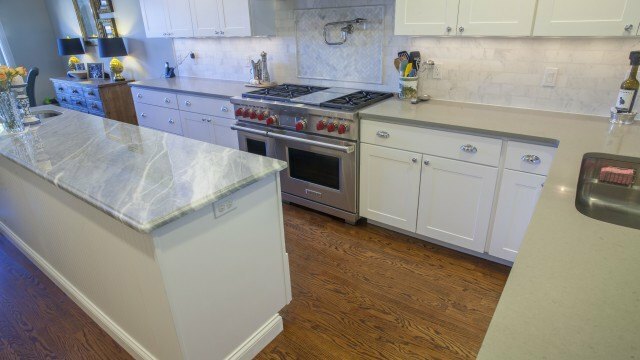 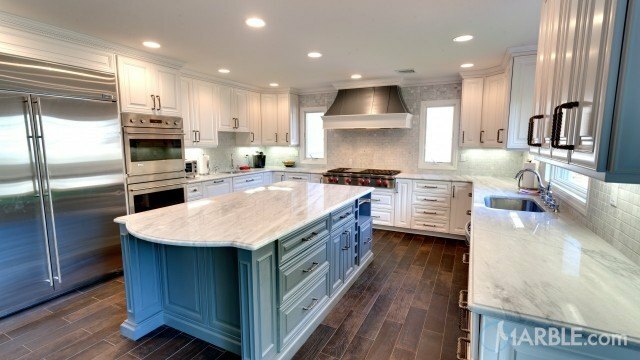 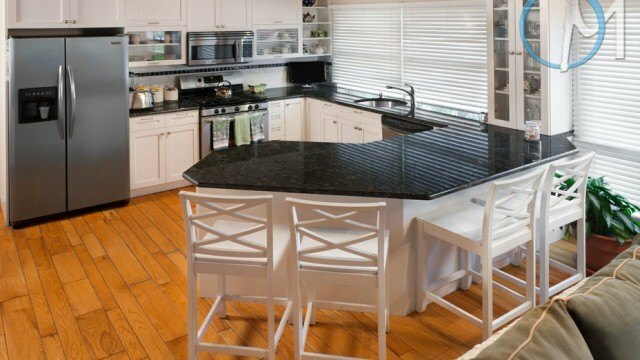 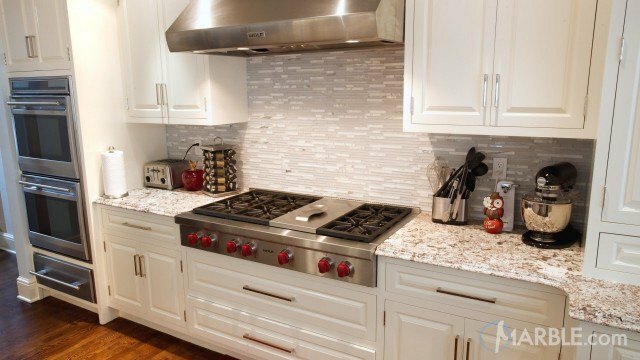 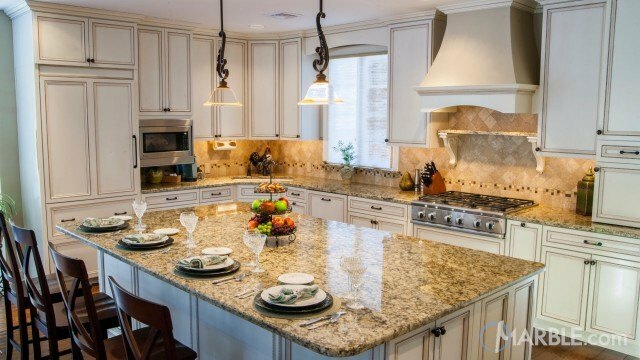 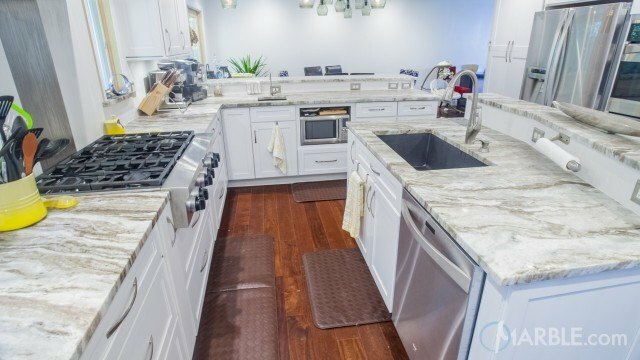 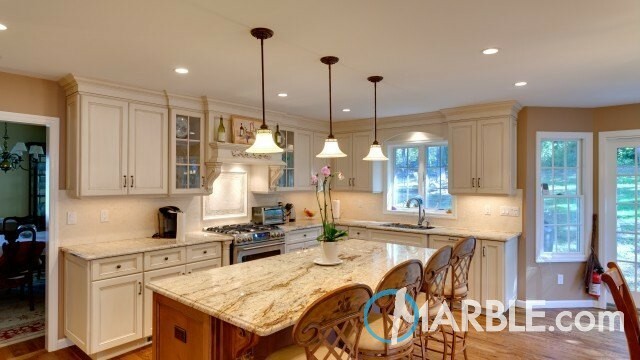 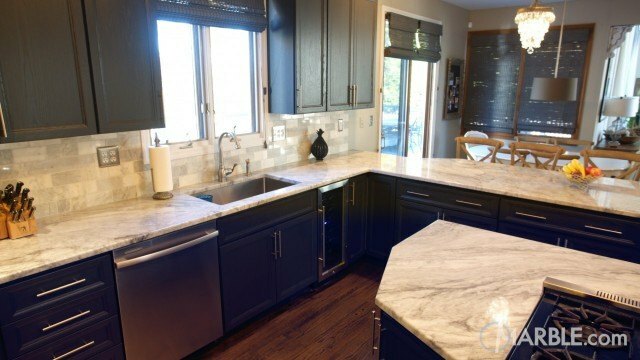 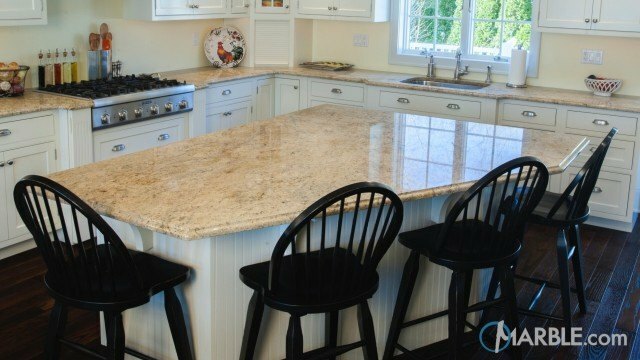 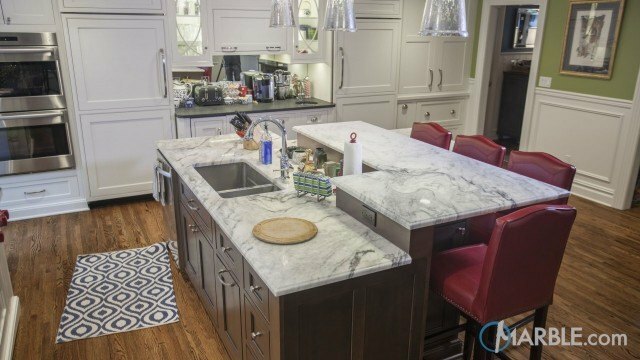 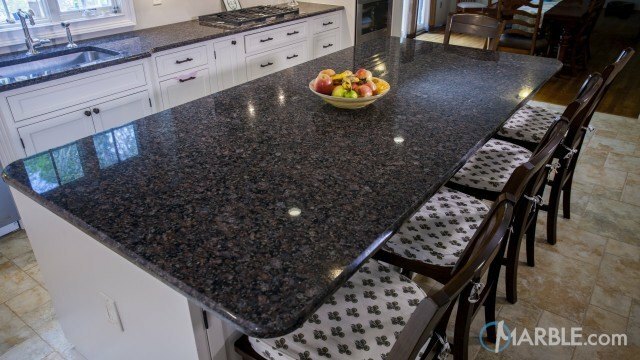 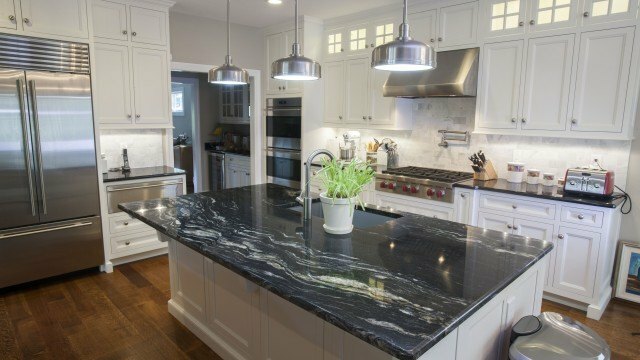 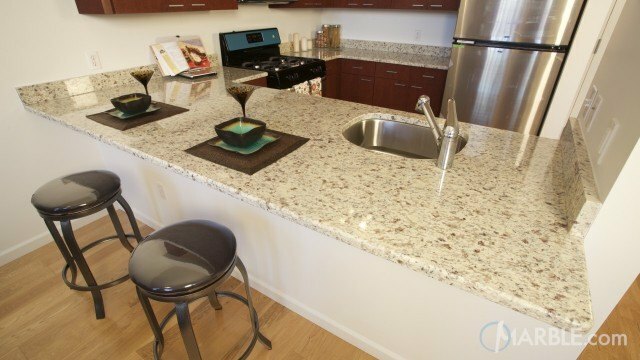 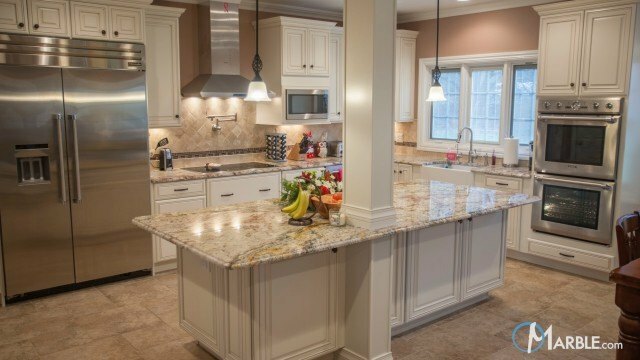 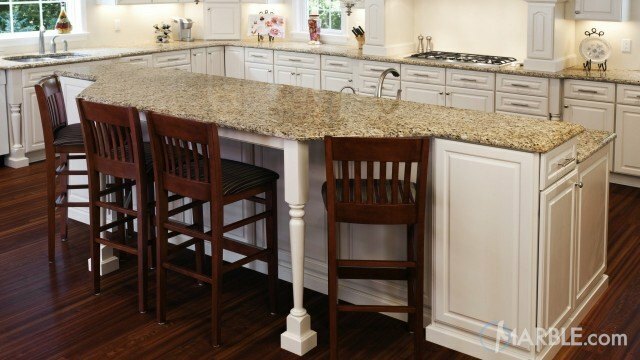 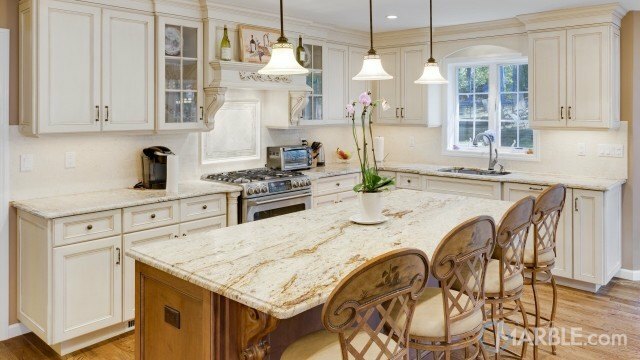 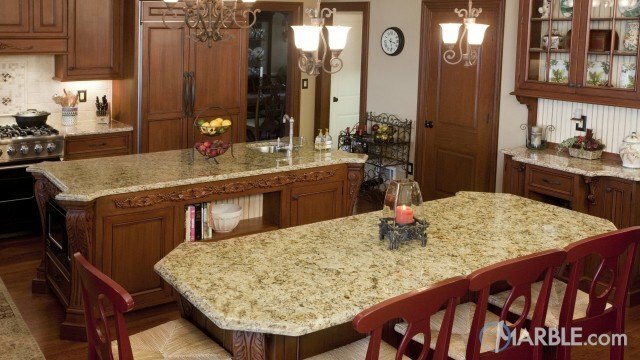 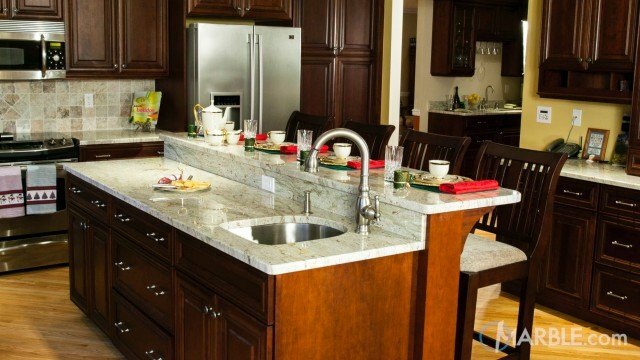 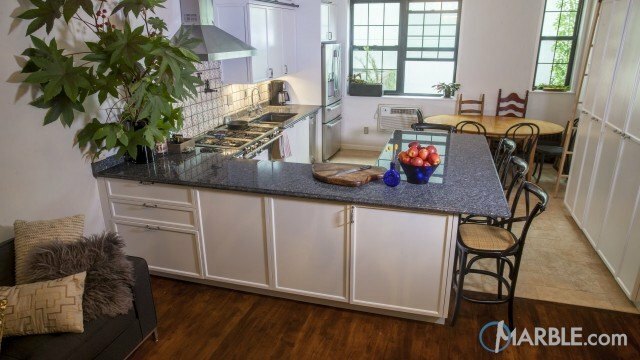 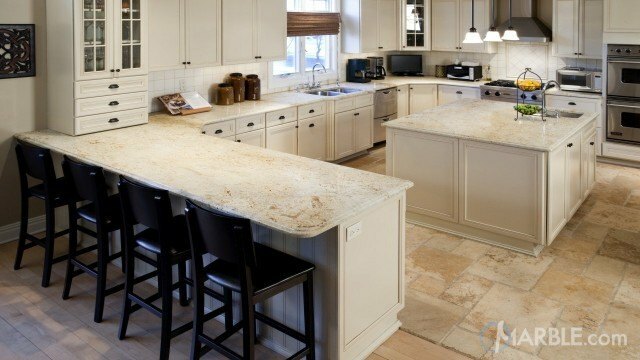 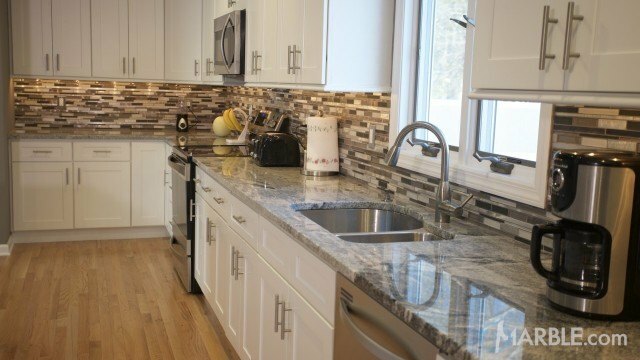 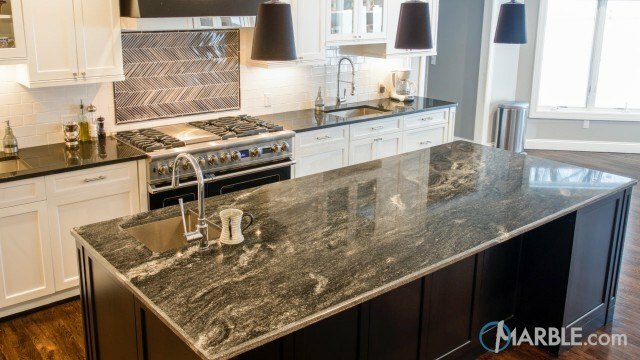 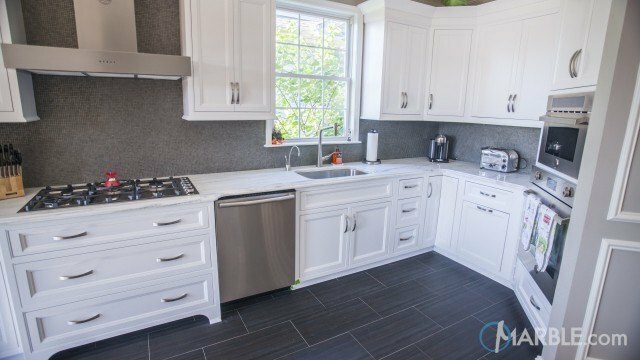 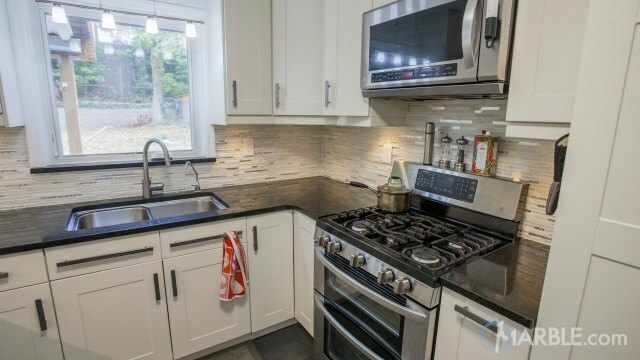 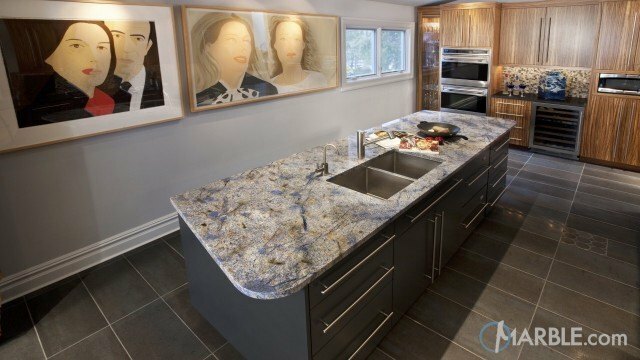 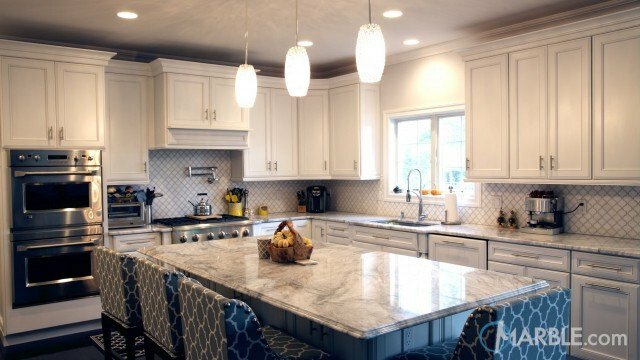 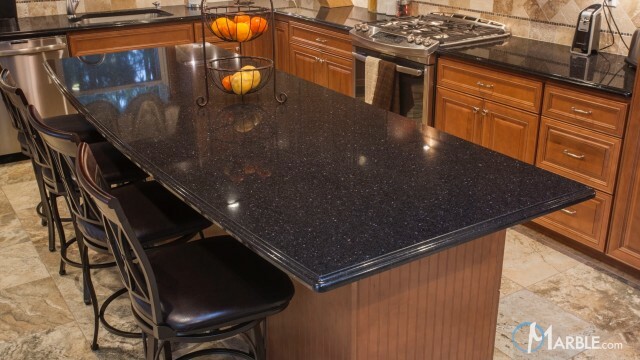 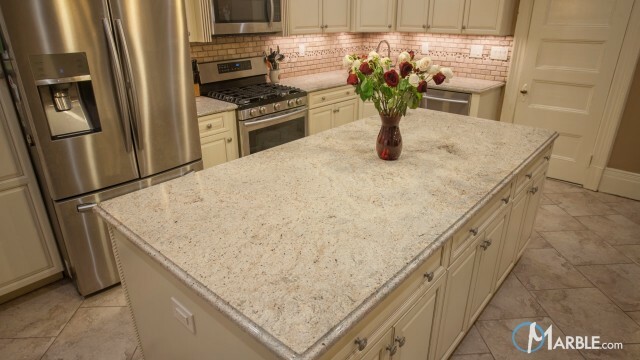 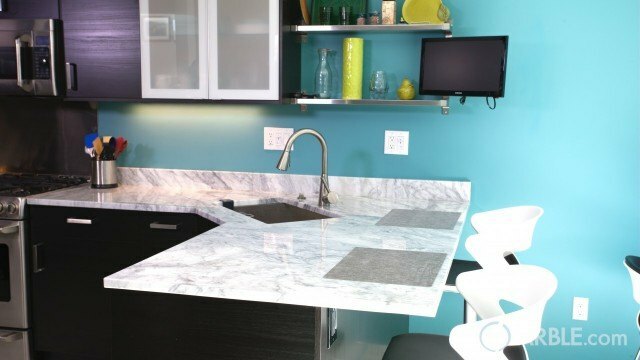 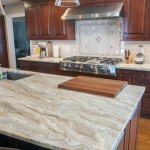 Quartzite is a suitable option for homeowners that are looking for a medium between granite and marble. 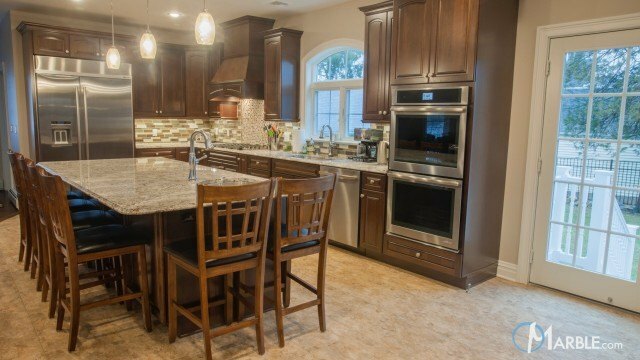 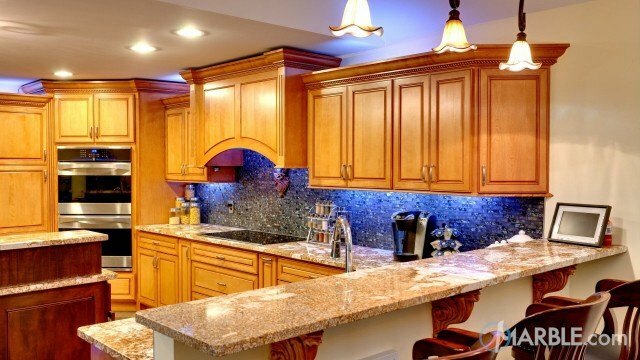 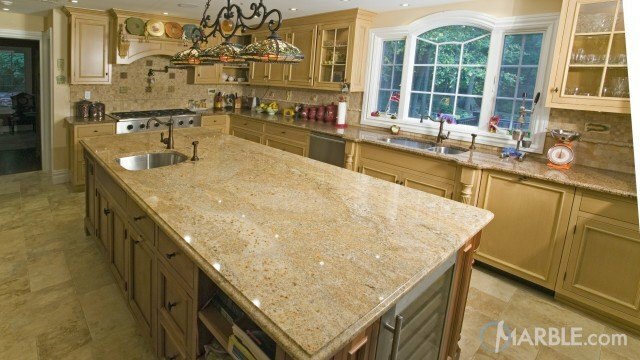 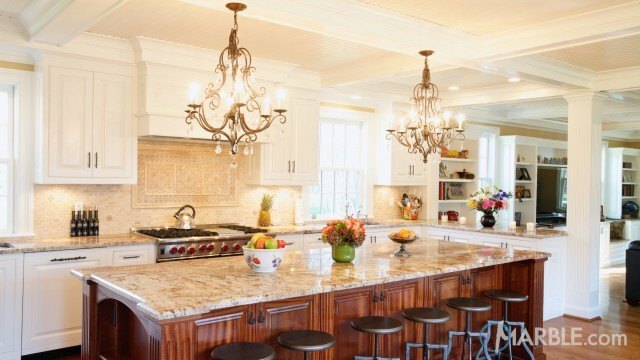 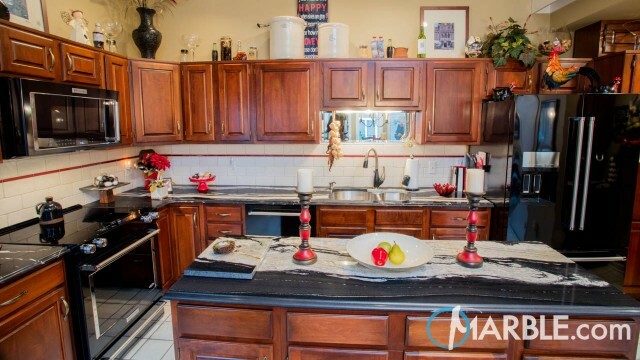 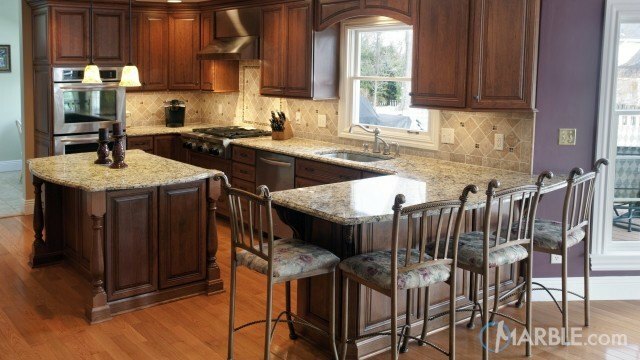 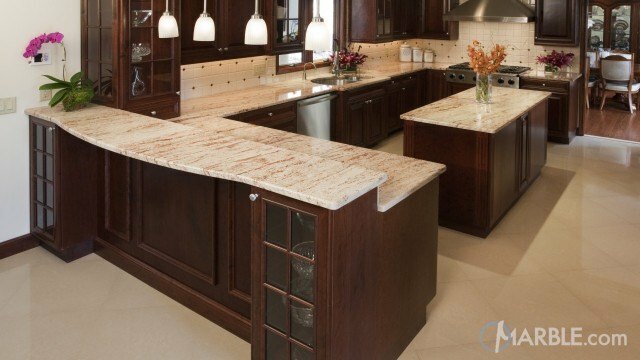 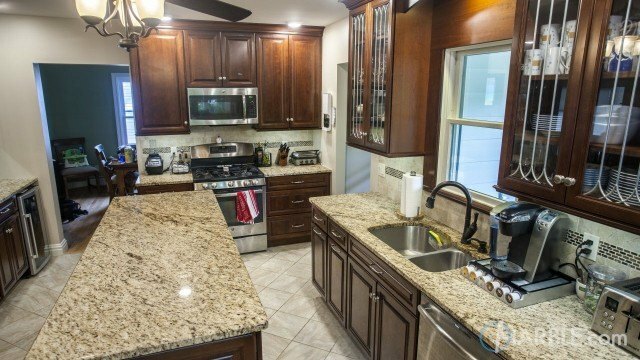 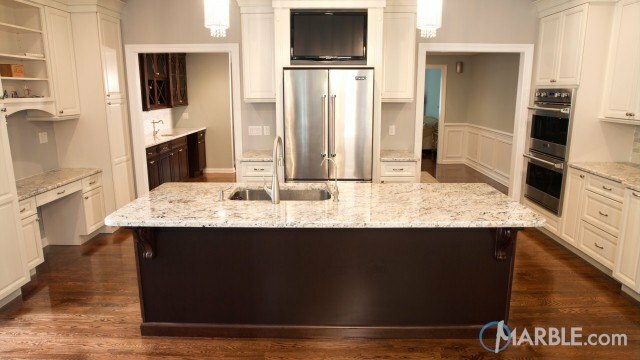 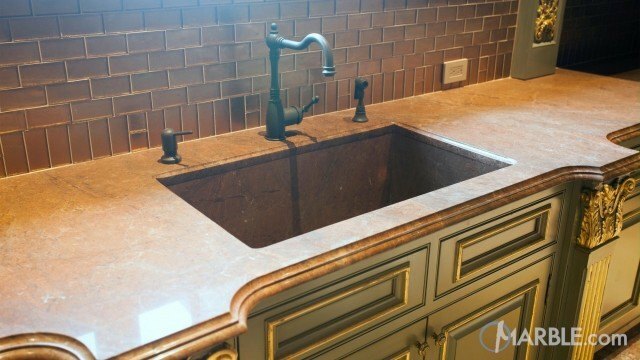 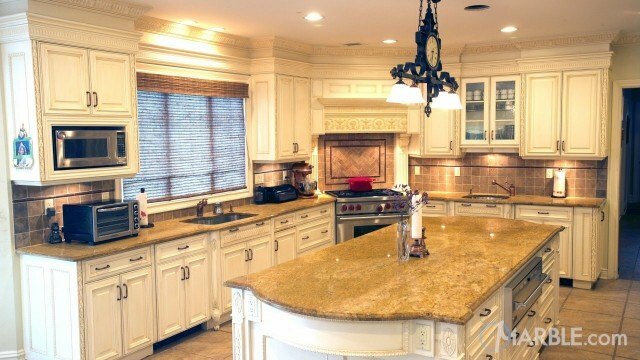 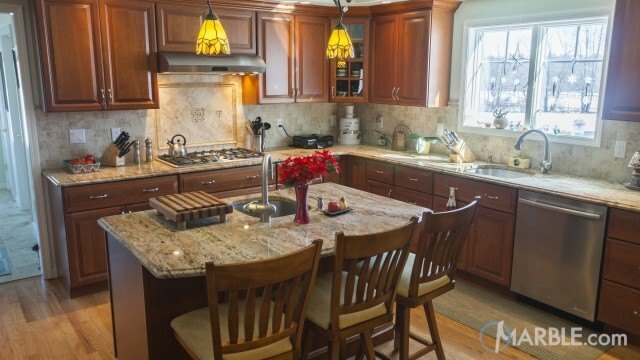 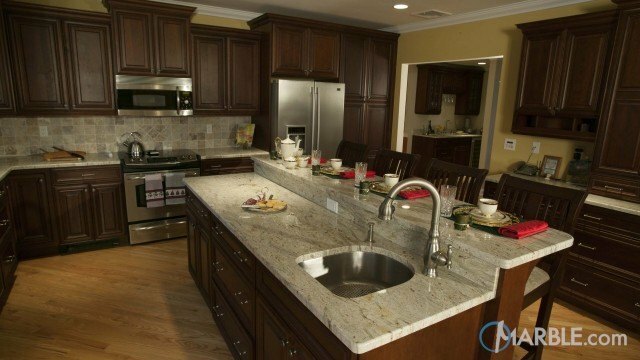 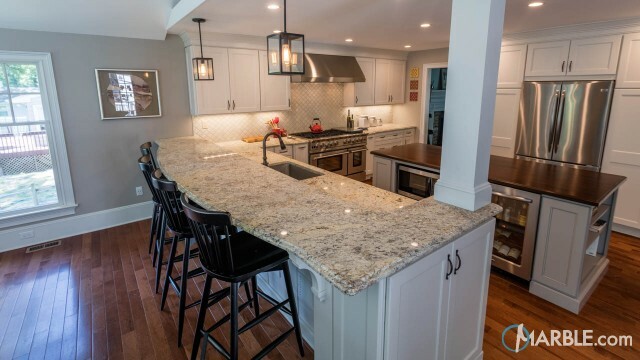 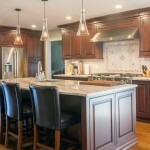 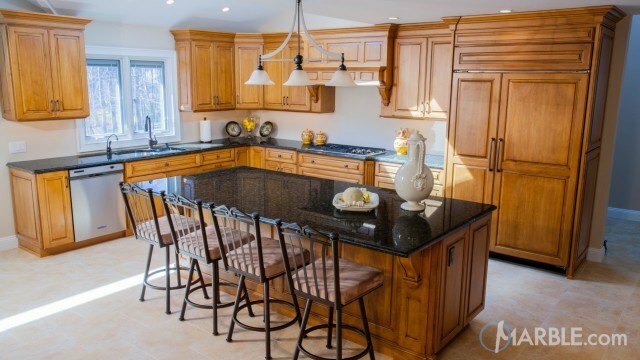 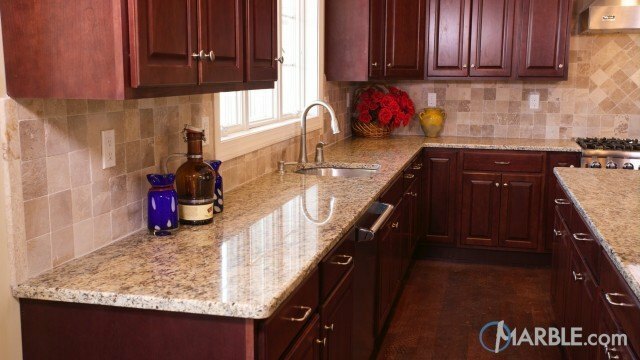 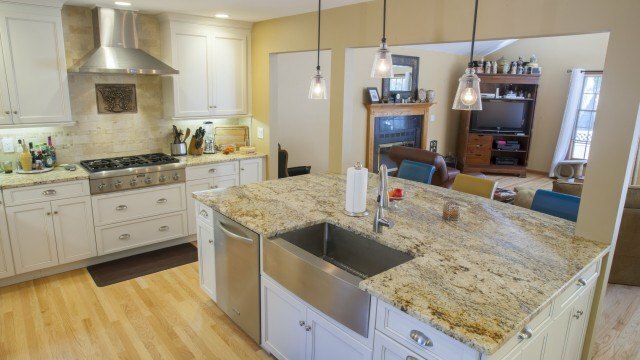 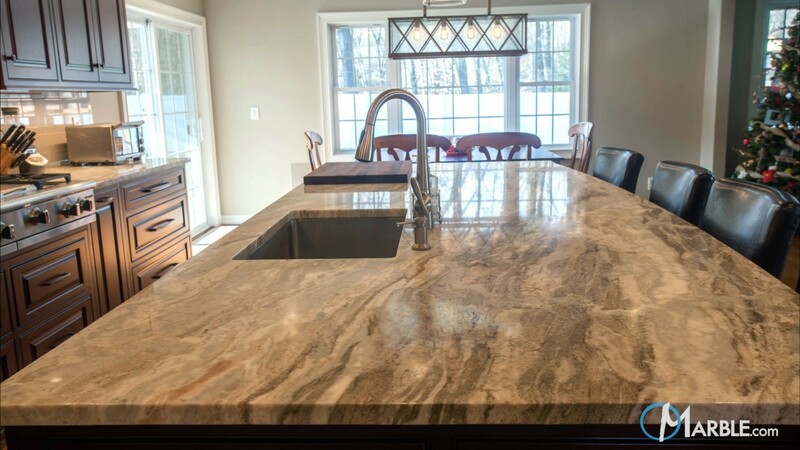 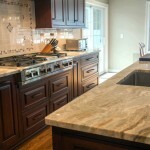 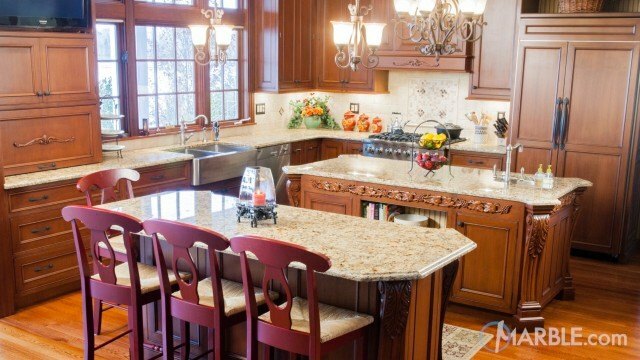 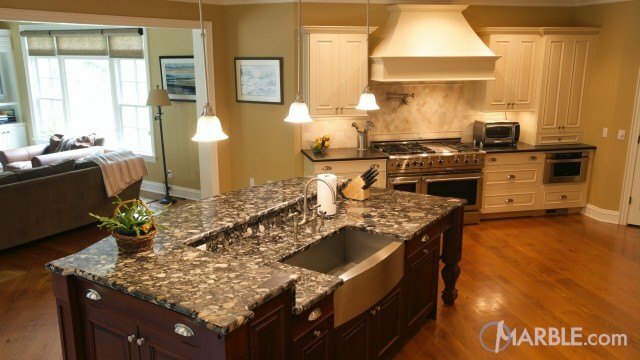 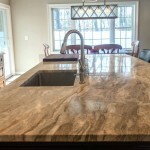 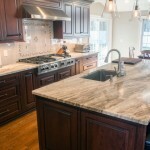 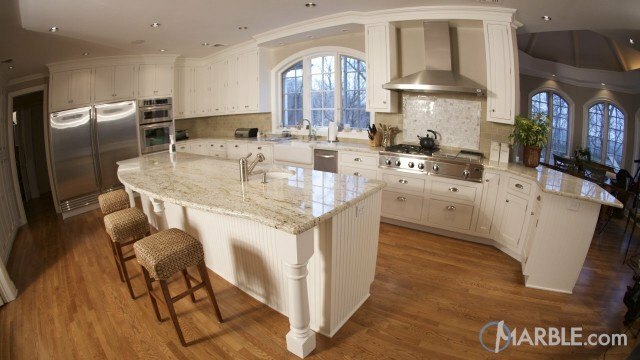 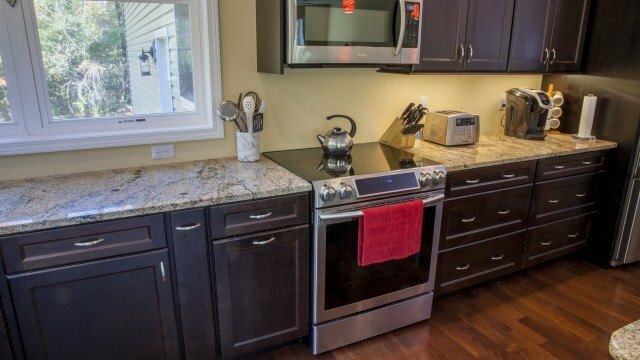 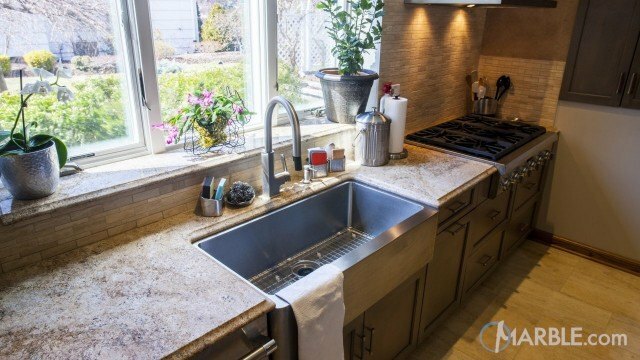 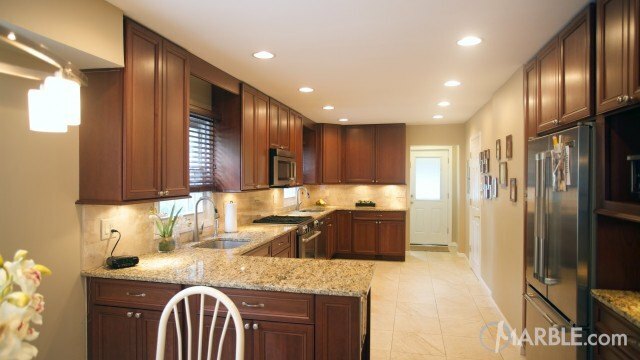 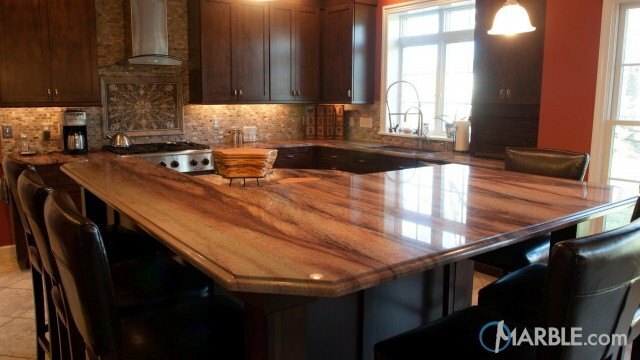 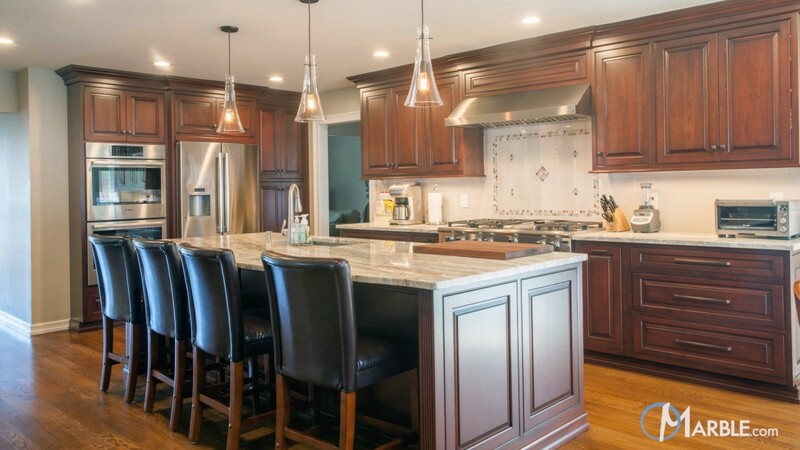 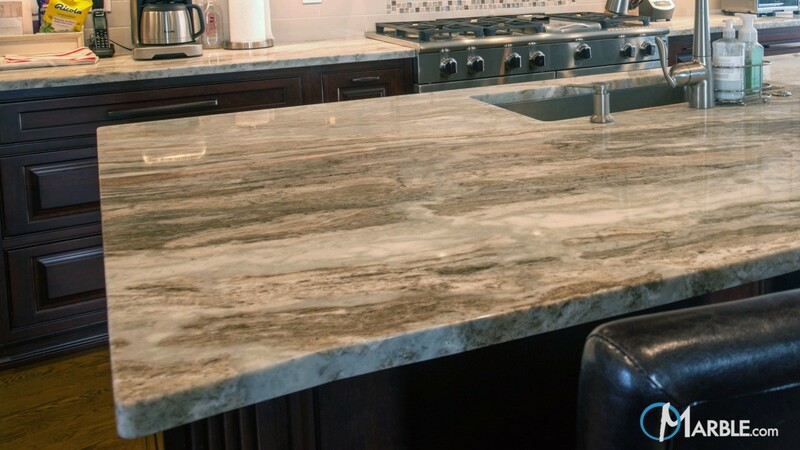 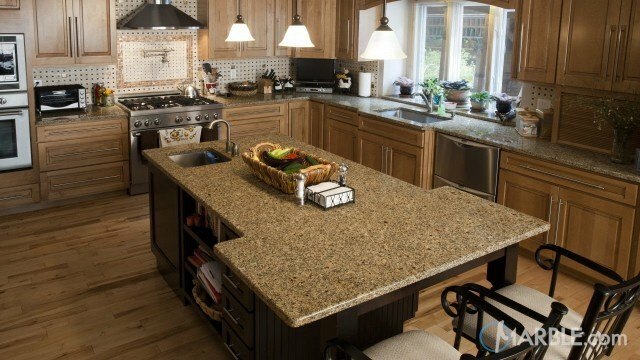 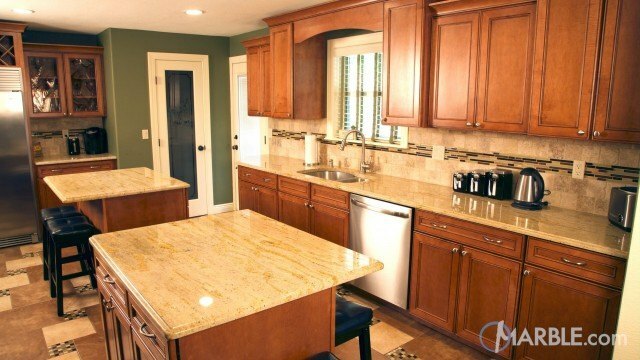 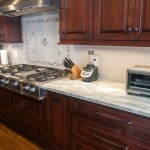 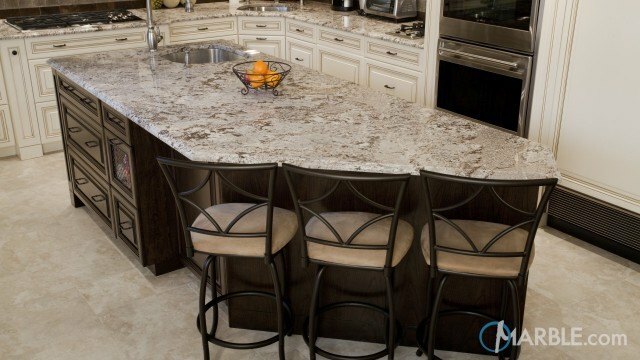 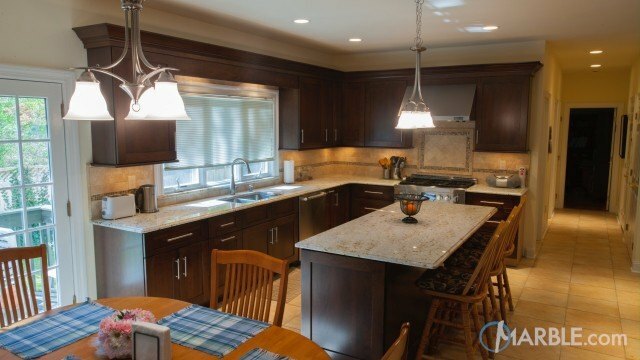 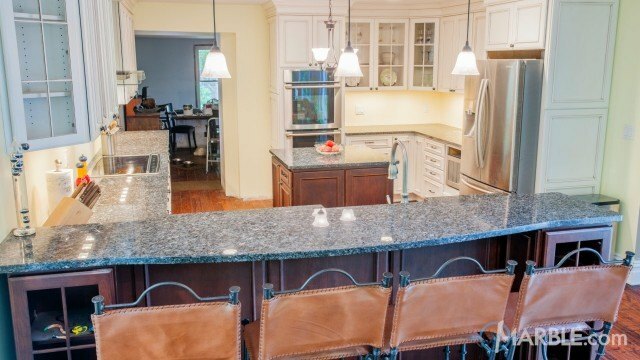 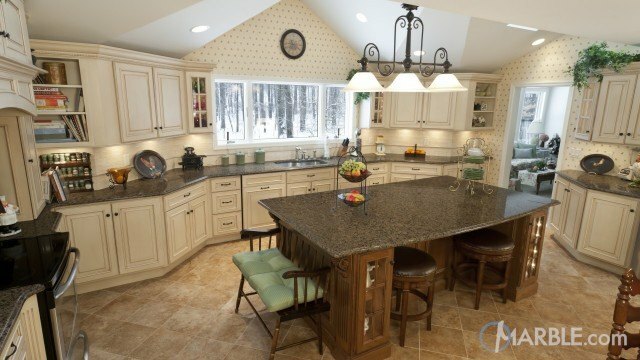 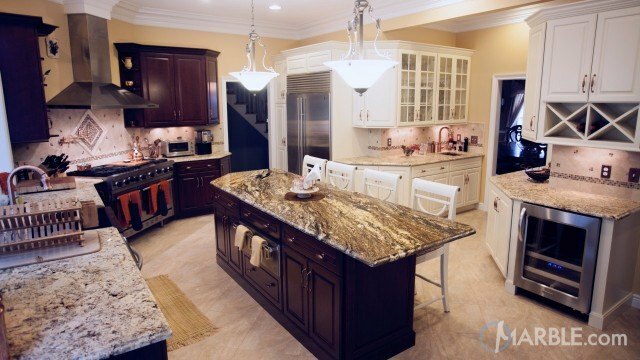 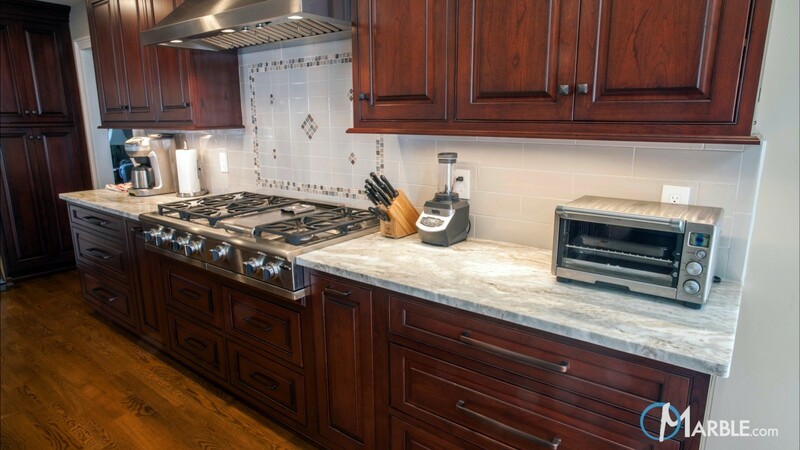 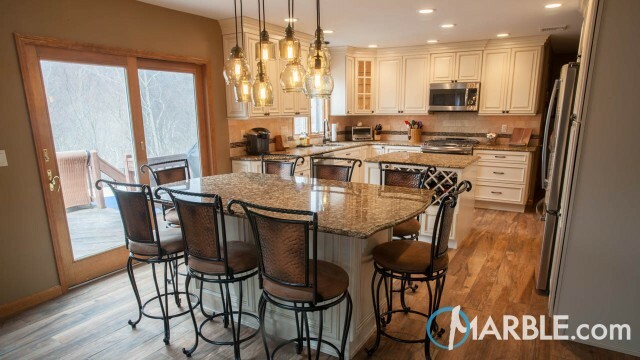 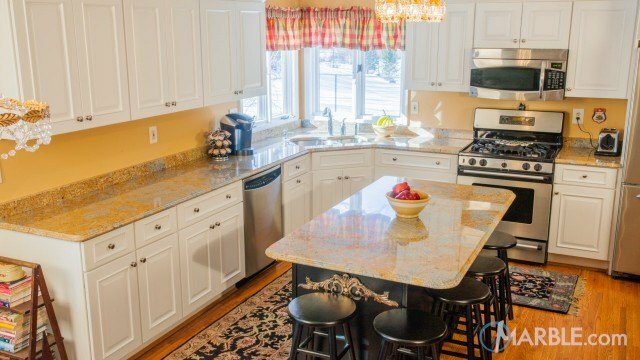 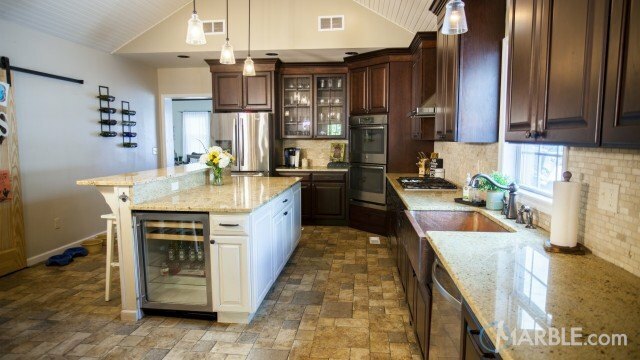 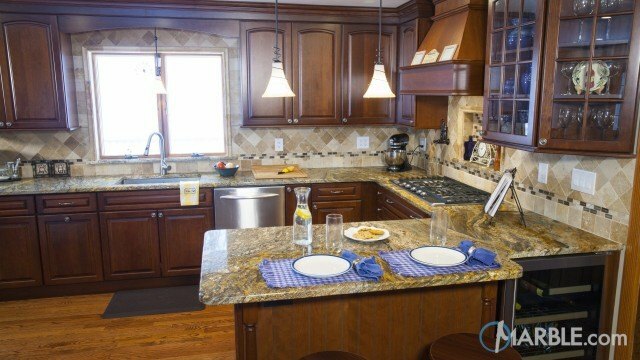 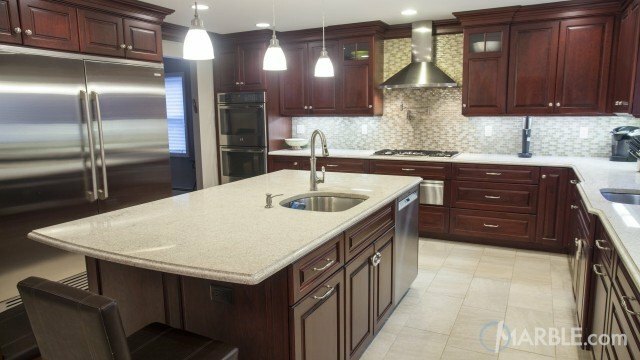 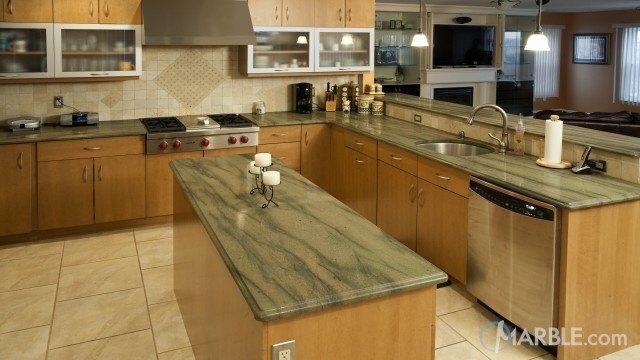 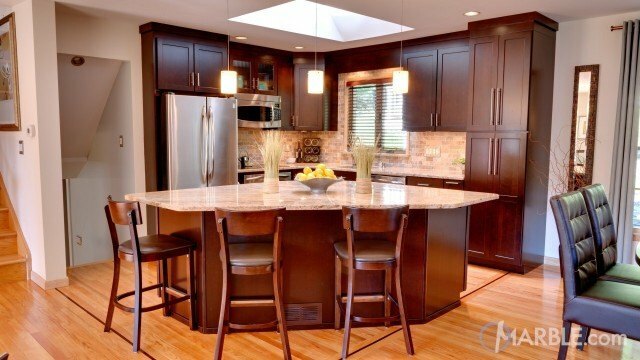 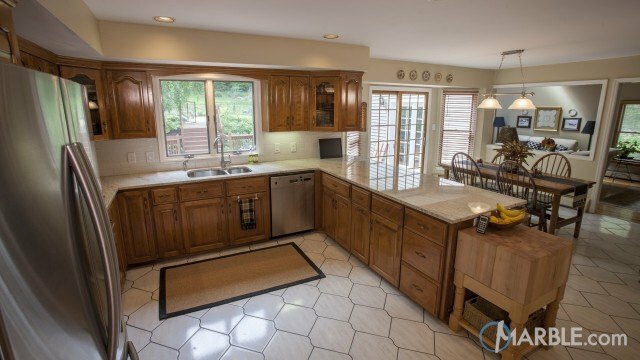 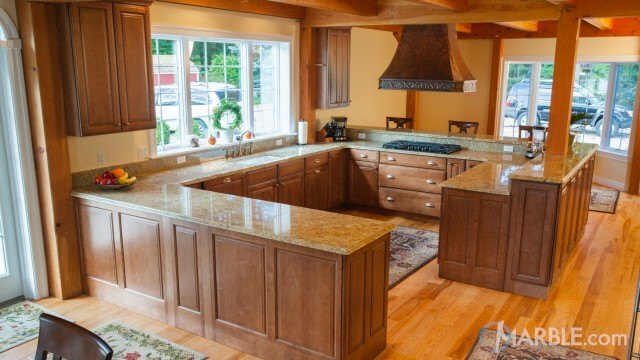 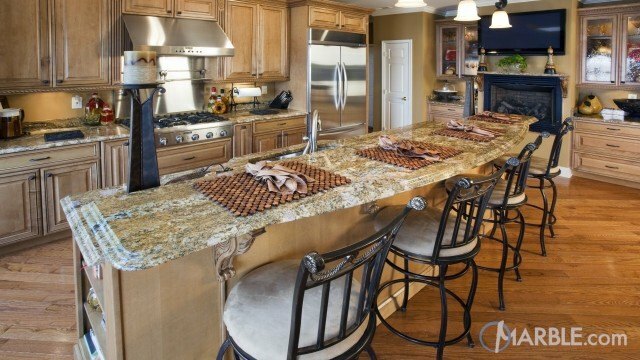 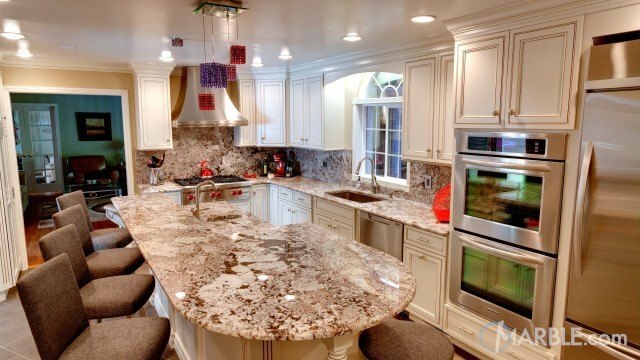 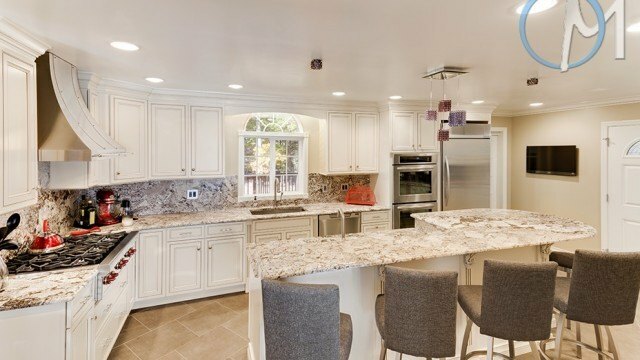 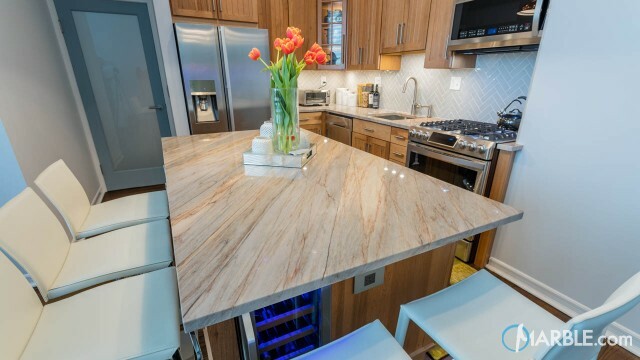 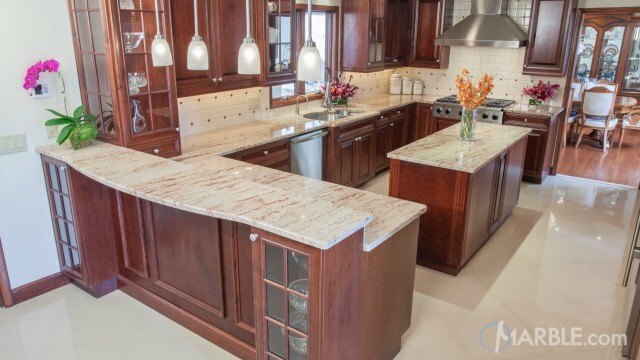 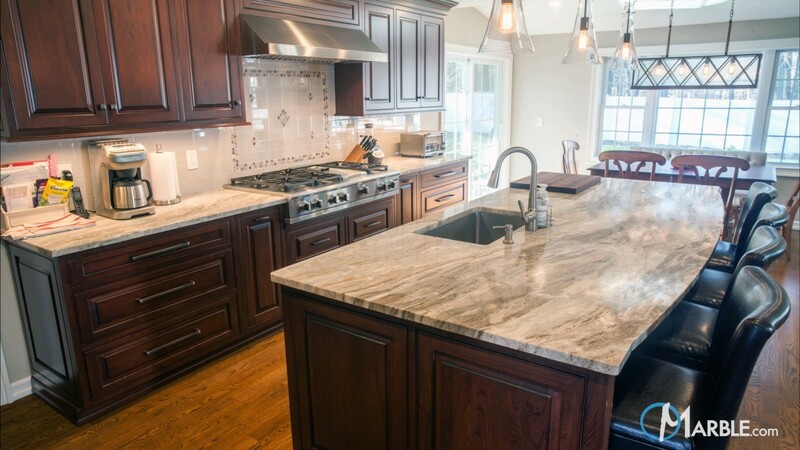 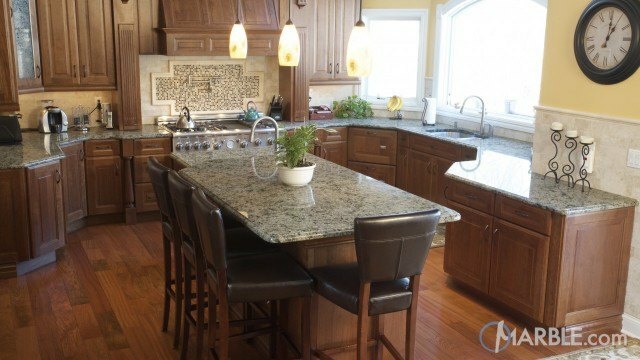 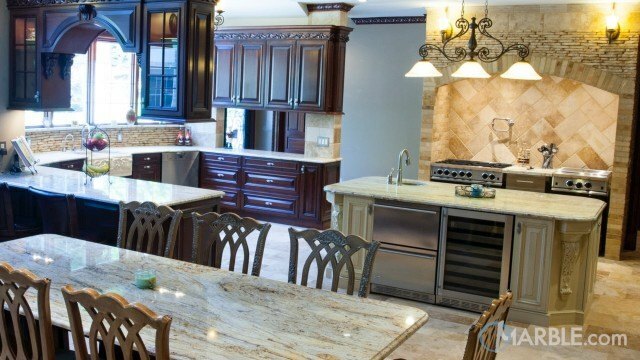 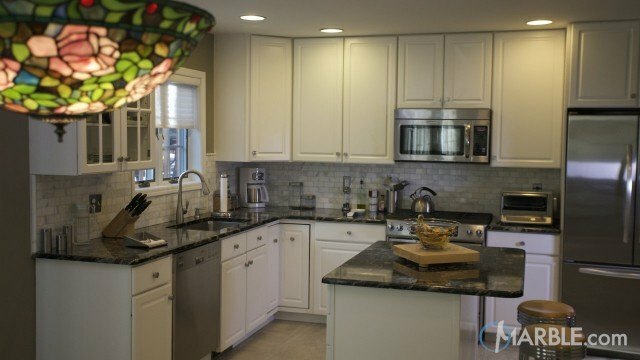 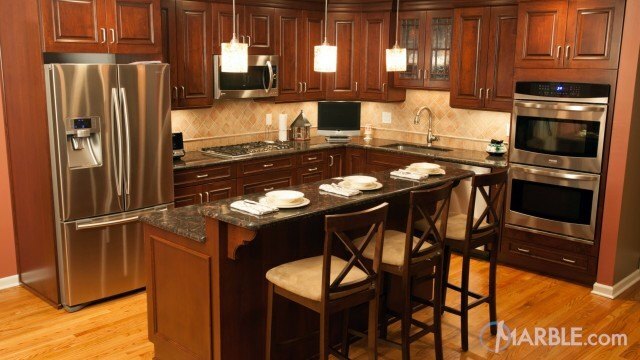 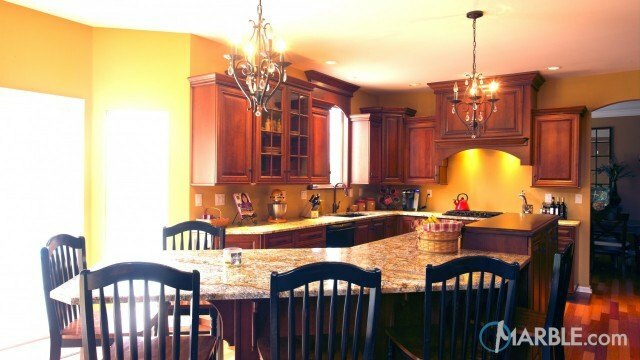 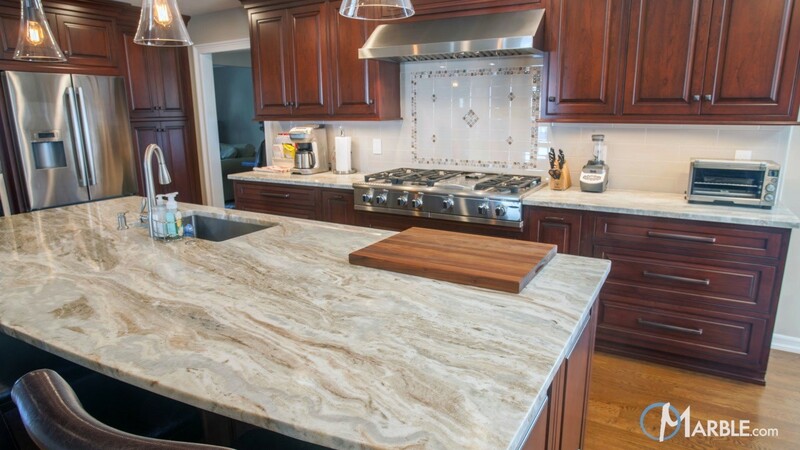 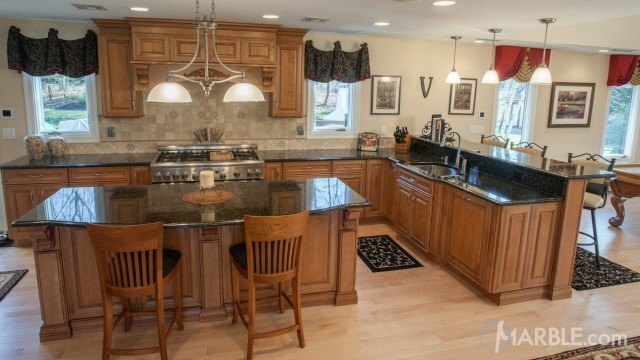 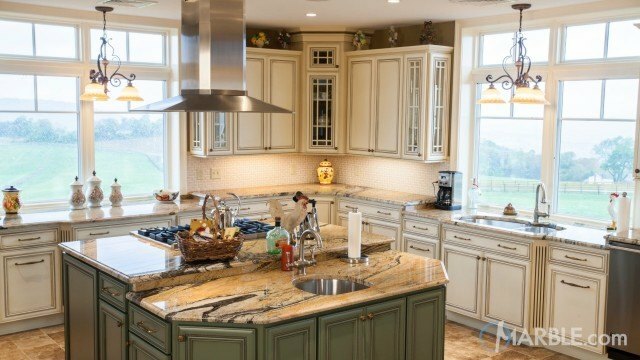 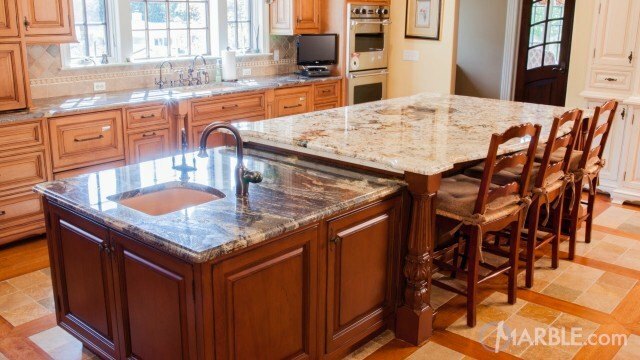 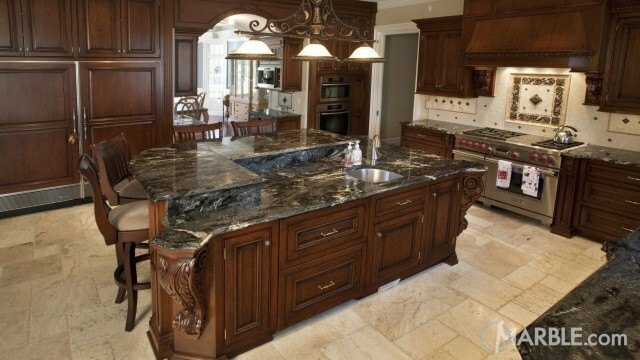 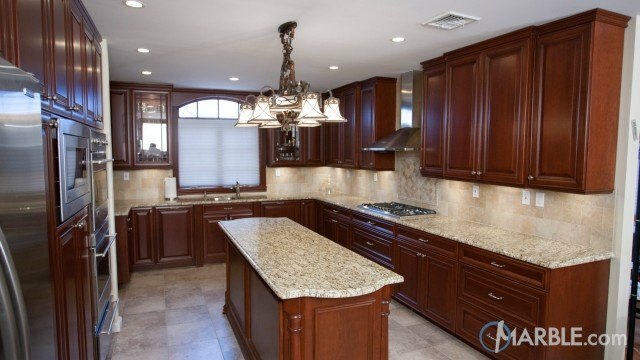 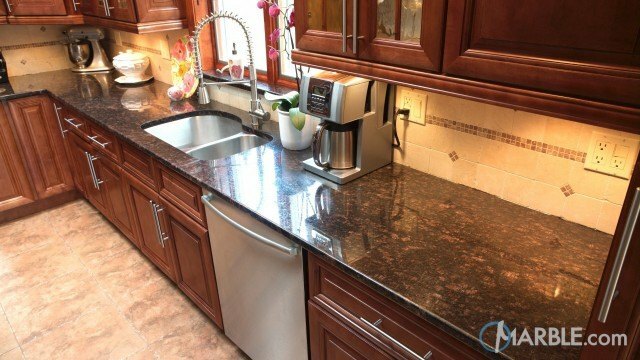 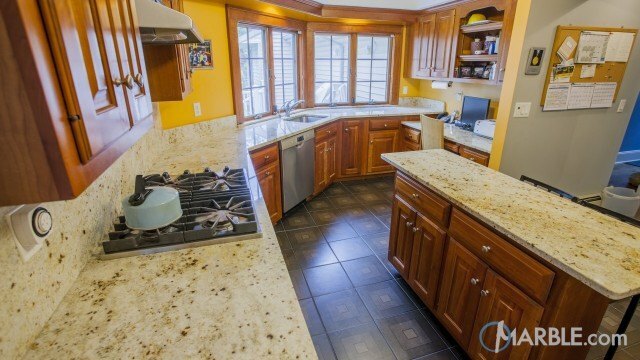 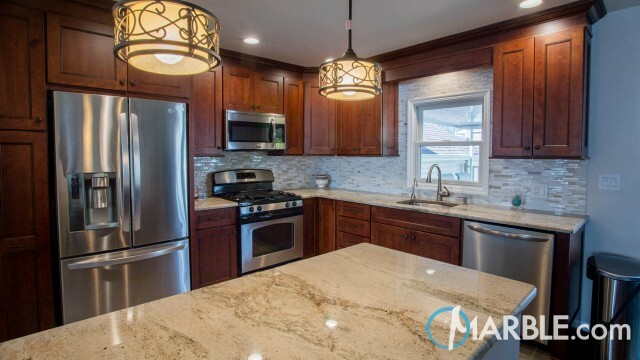 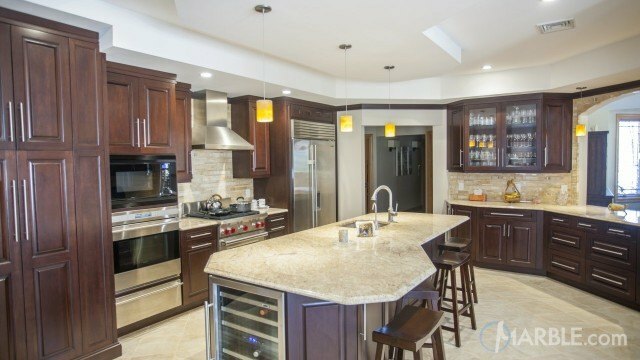 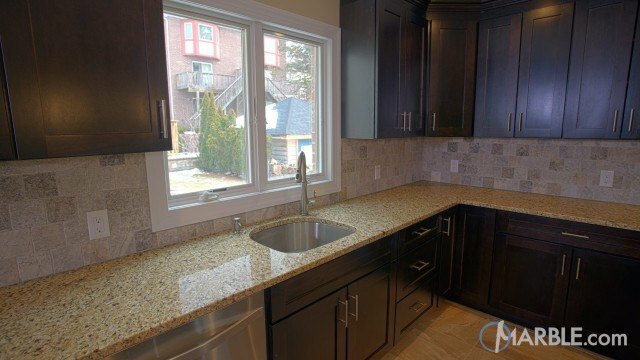 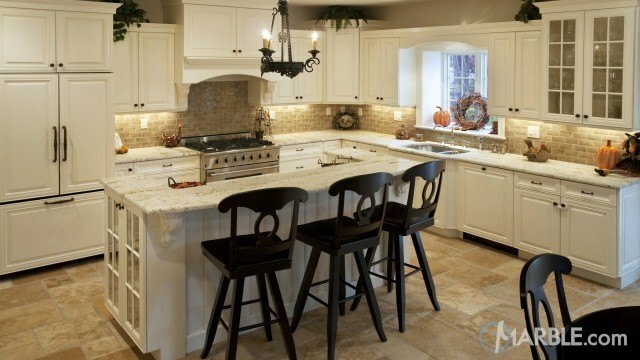 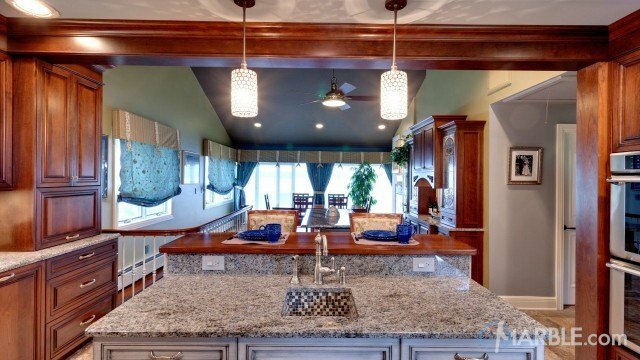 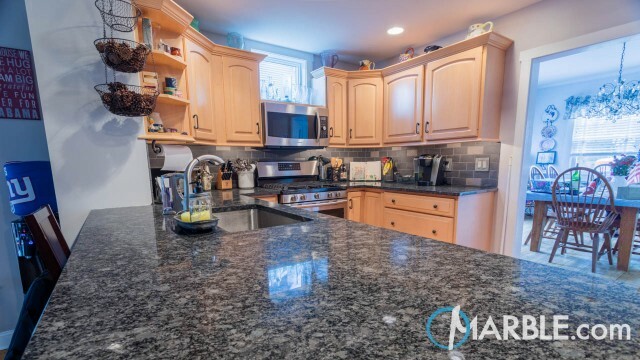 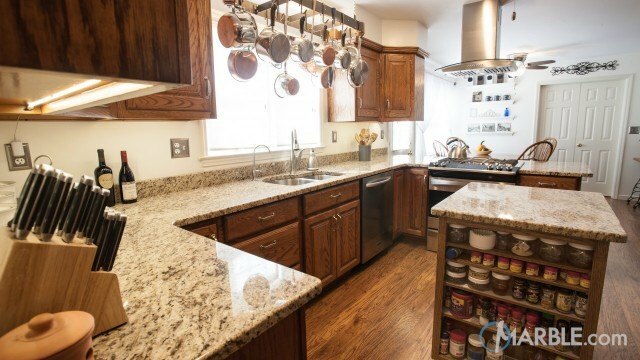 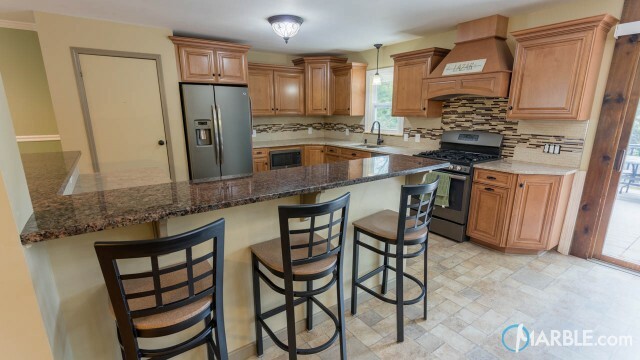 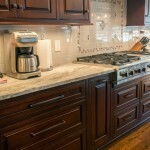 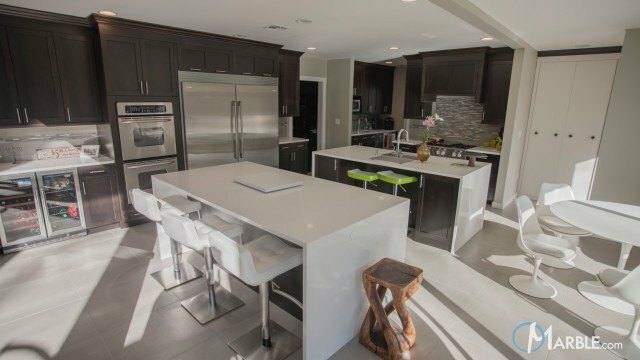 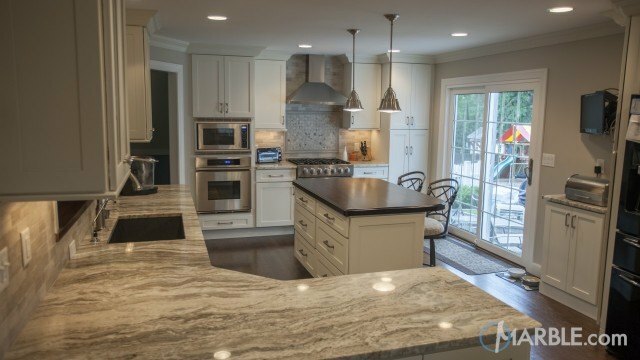 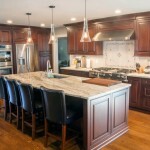 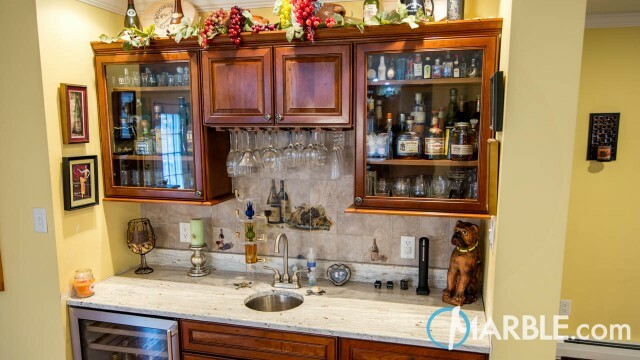 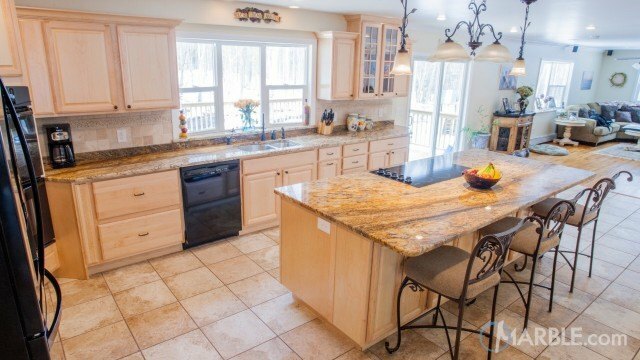 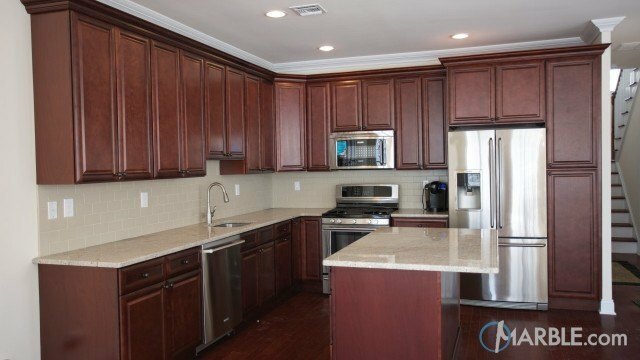 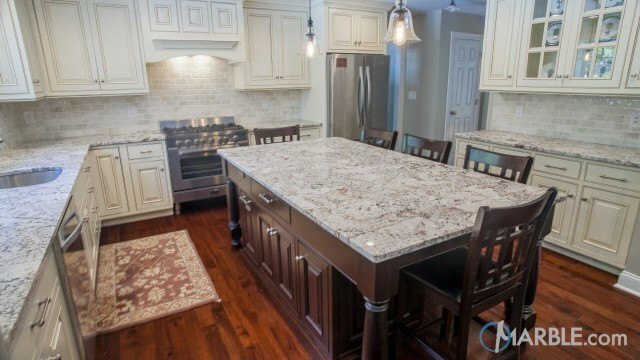 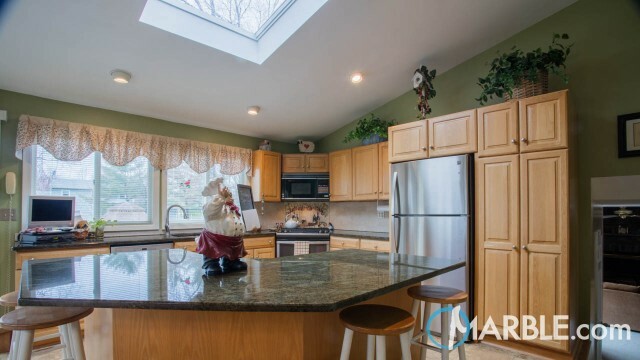 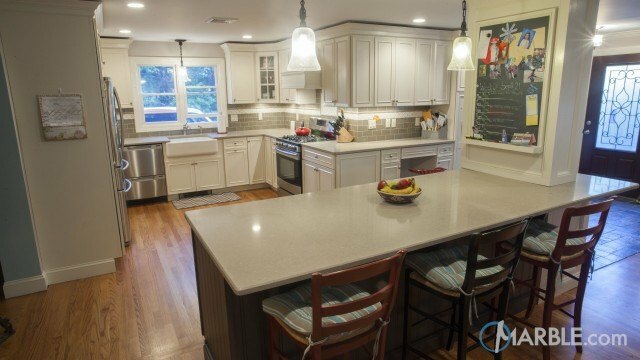 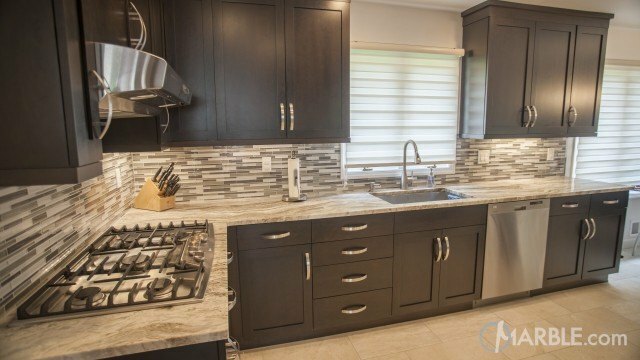 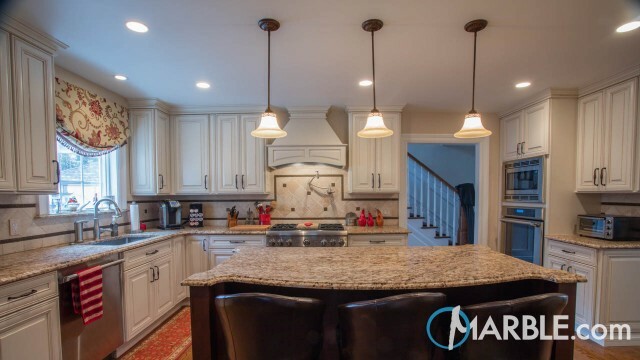 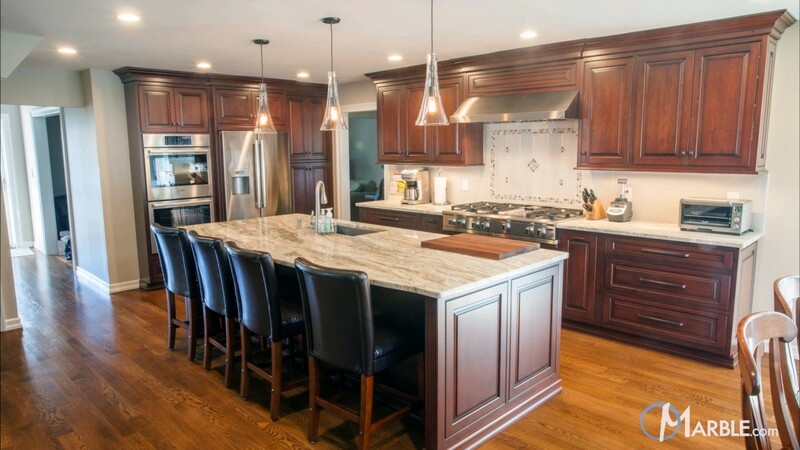 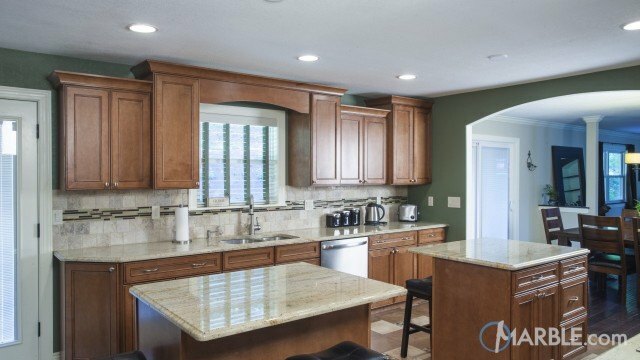 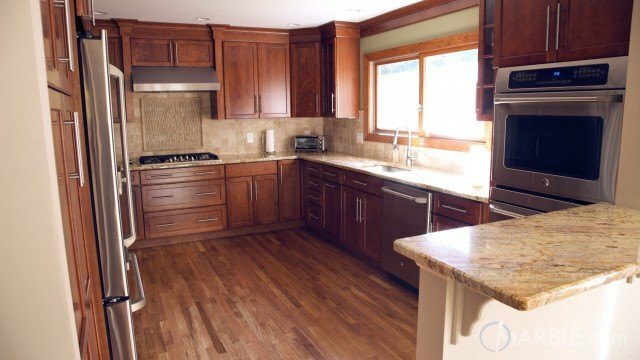 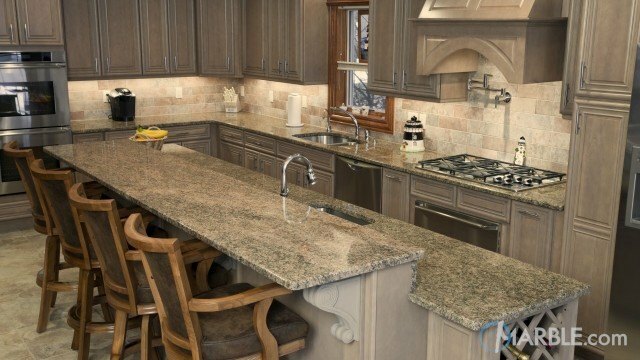 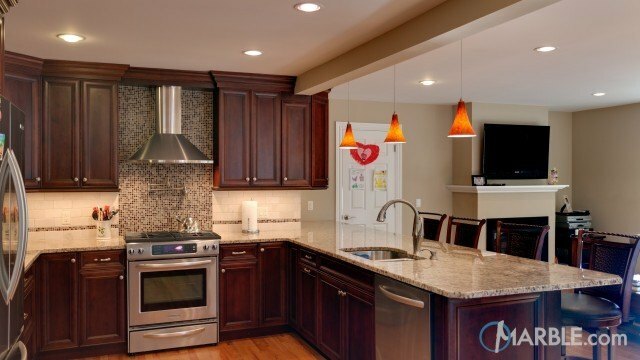 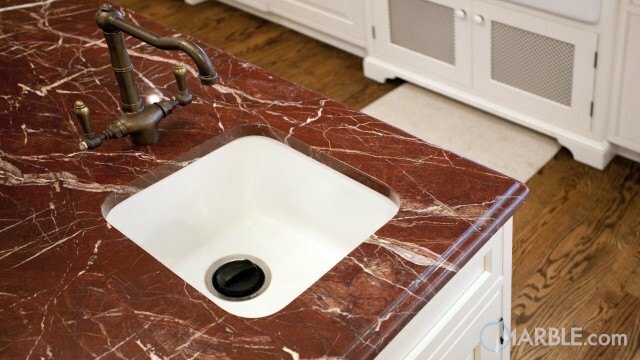 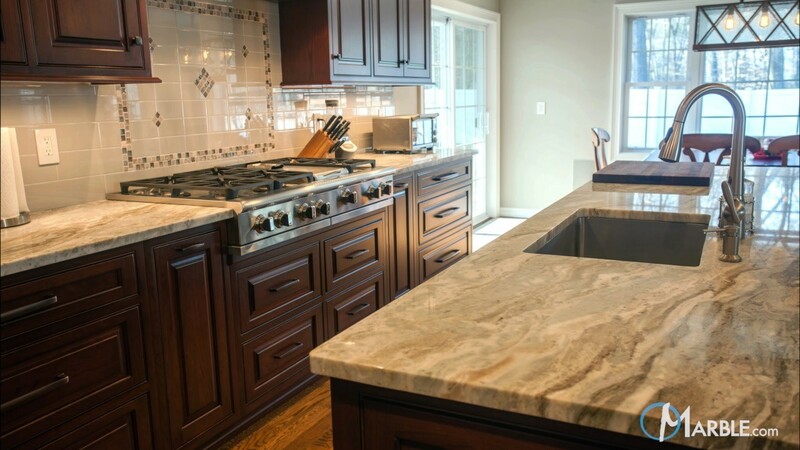 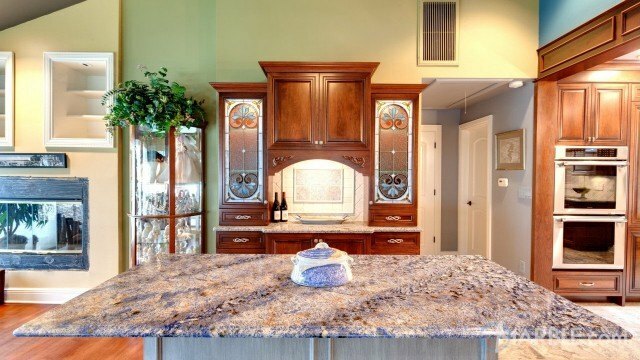 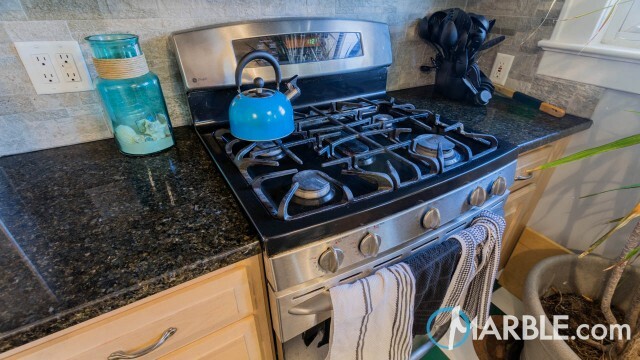 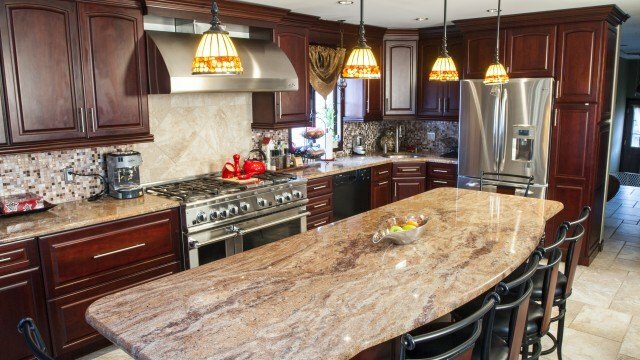 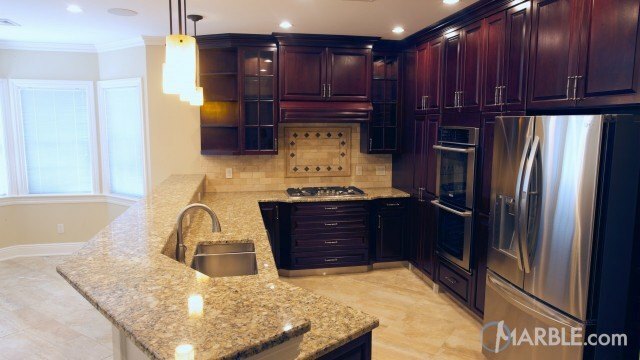 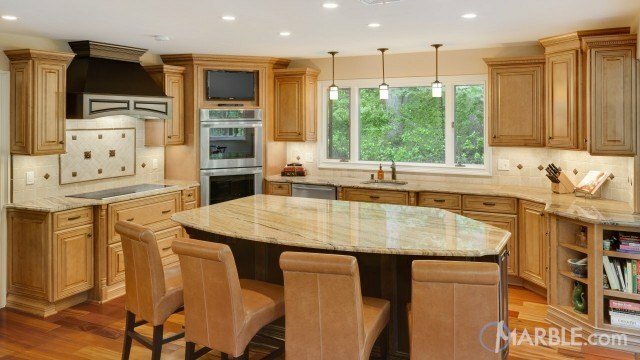 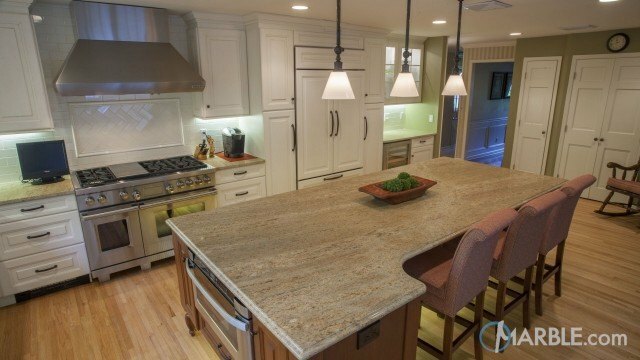 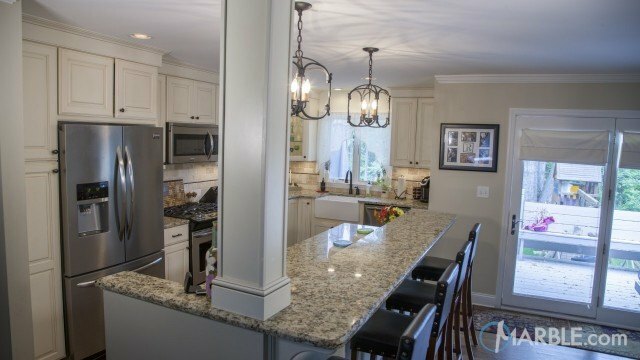 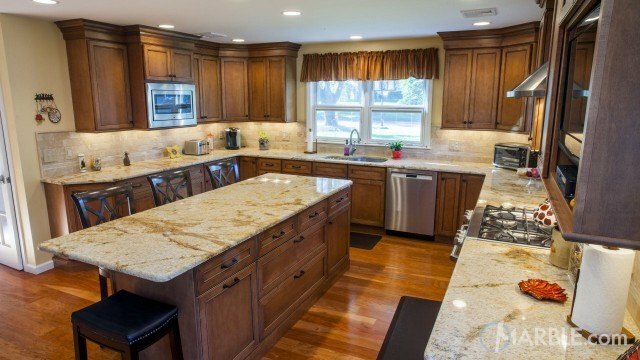 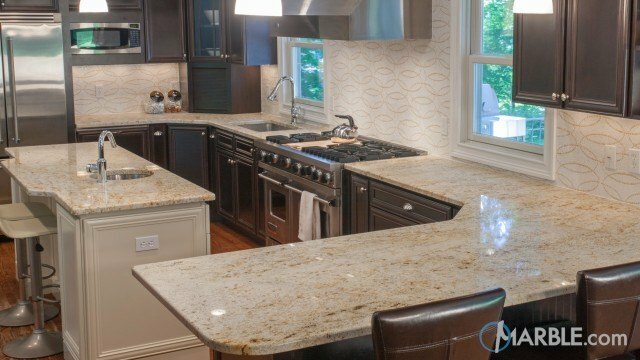 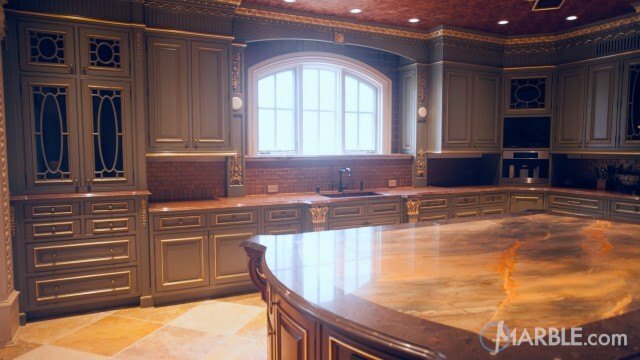 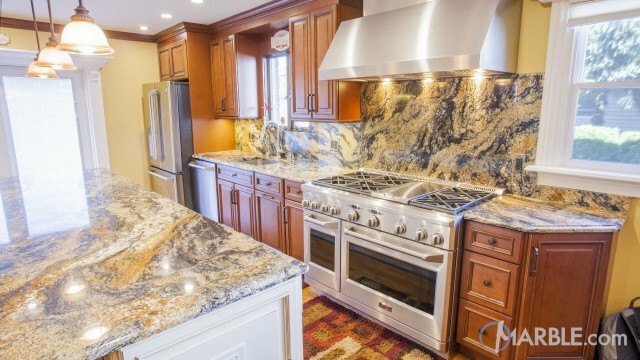 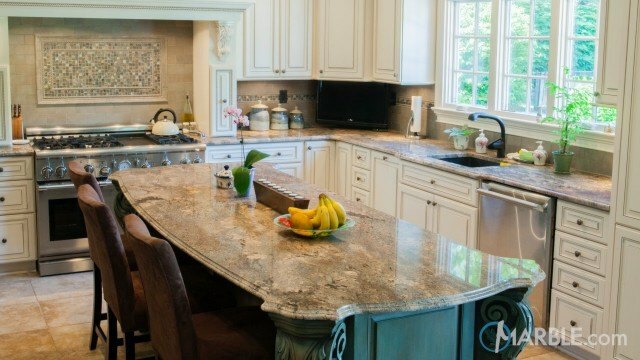 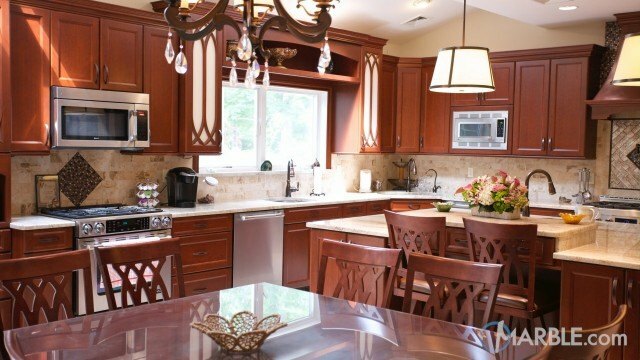 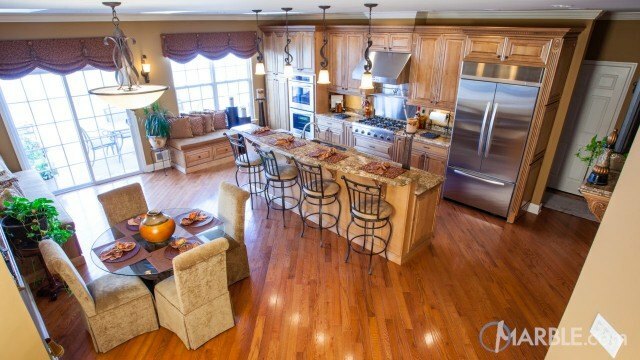 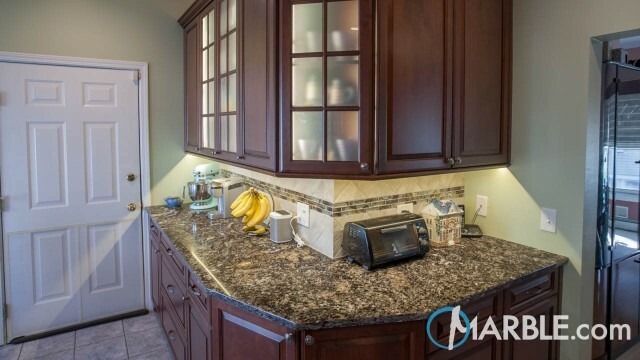 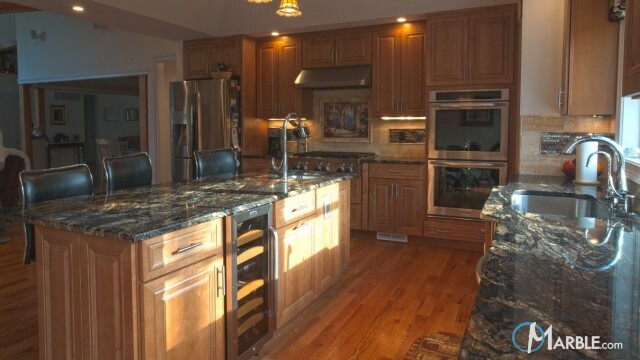 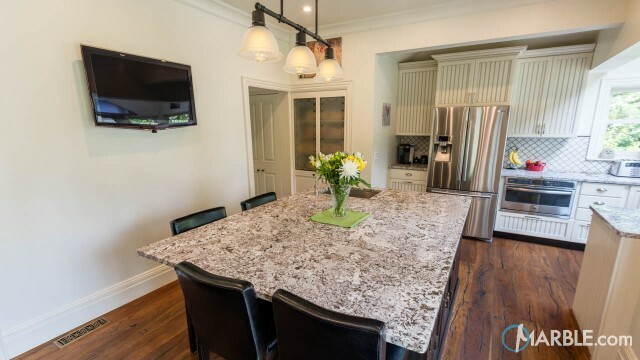 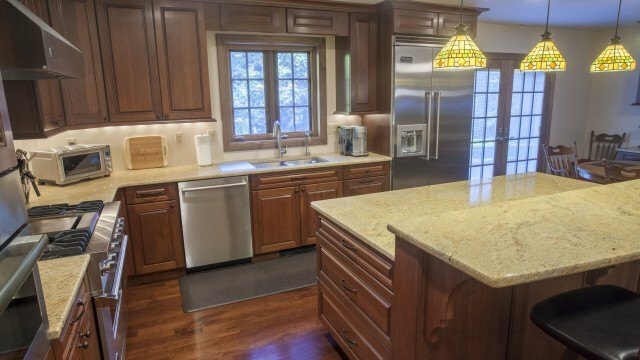 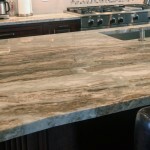 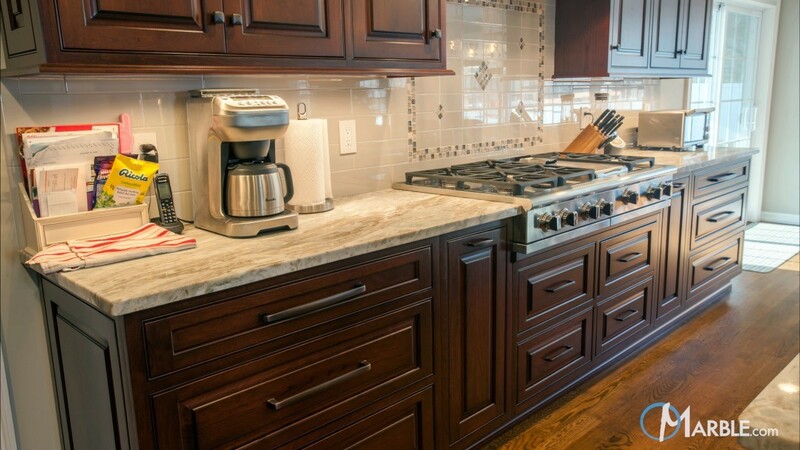 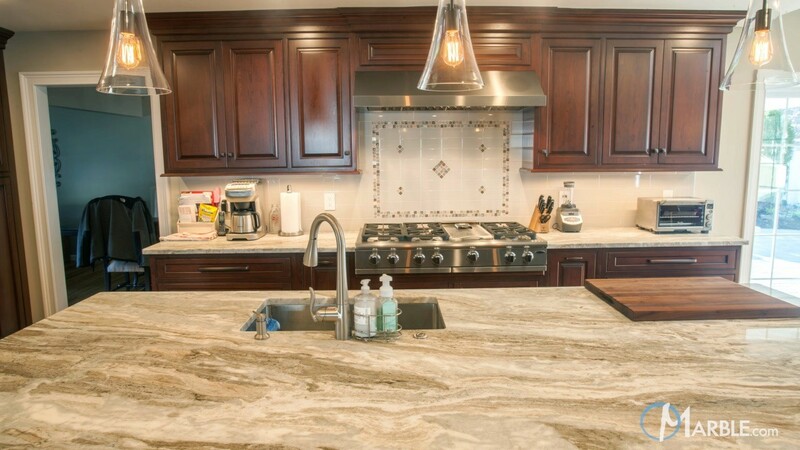 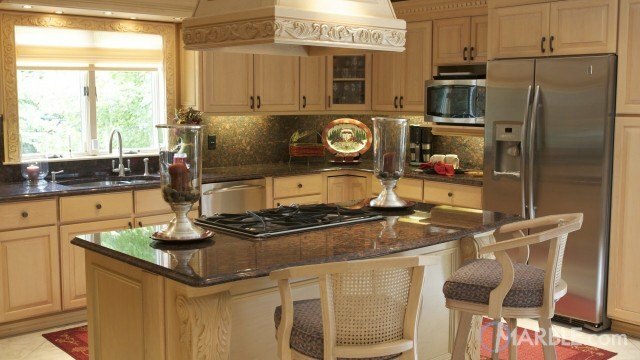 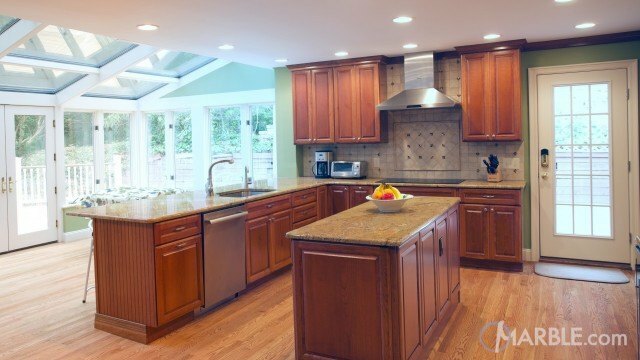 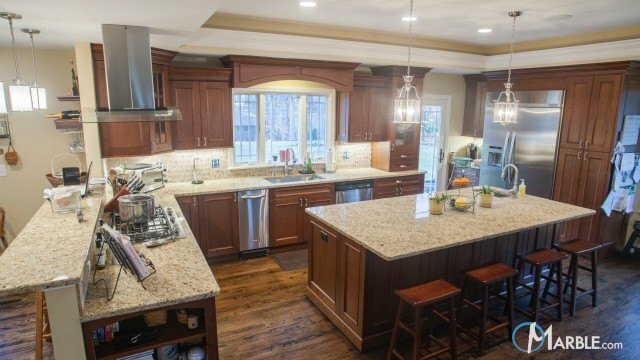 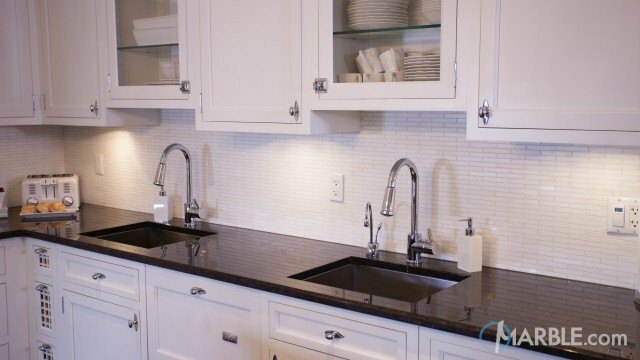 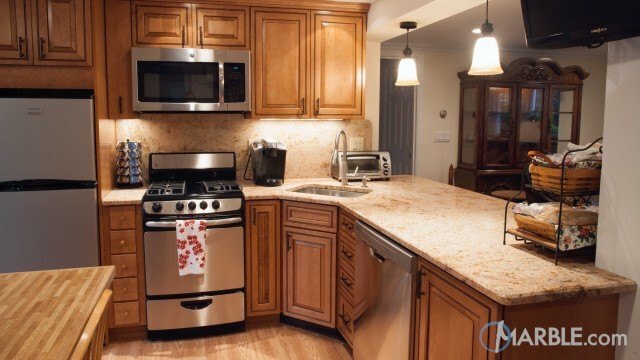 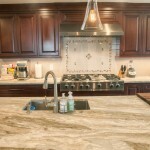 Fantasy Brown quartzite is the perfect light counter top for this kitchen because of its long, brown veins.